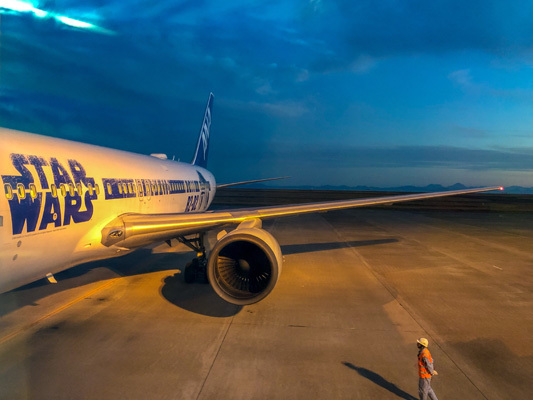 Just like trains in Japan, the flight took off exactly on time. Seats were very comfortable with lots of leg room. The seat included USB and power points for you to charge your electronics whilst on the flight. I choose the beef and rice dish for the inflight service meal, which was delicious. 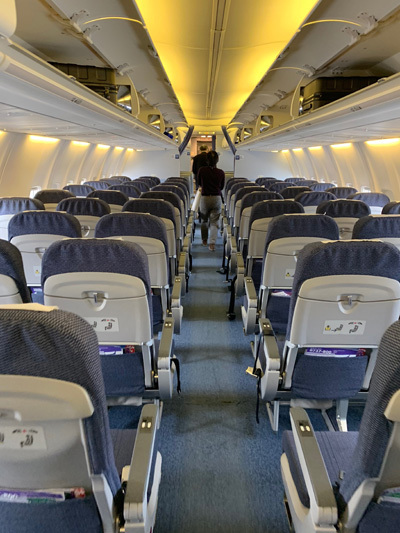 The service was top notch which made the 9.5 hours flight go by quick. 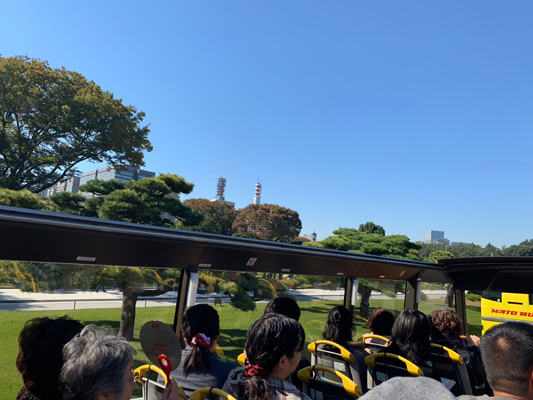 It was a beautiful sunny day, perfect for the open top bus, so we were able to have excellent views of Tokyo. They have translation devices for 8 different languages! 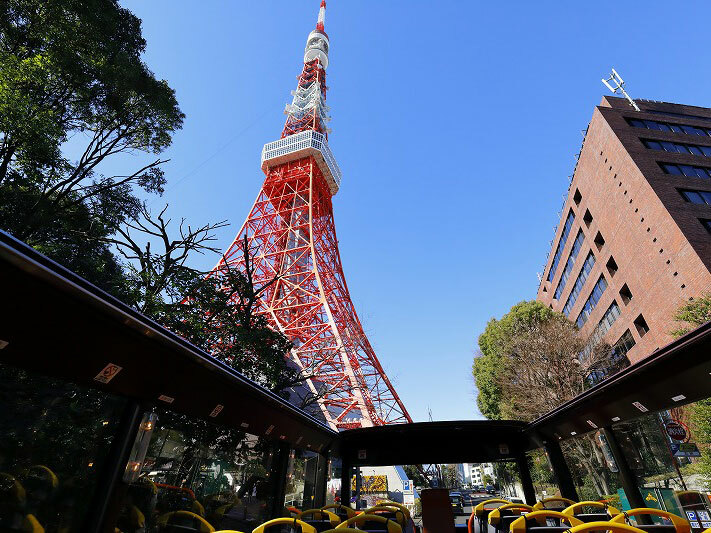 The bus drove us around the Minato area and even drove right to the bottom of Tokyo Tower where you can take photos as you drive by. We also drove on the rainbow bridge, Odaiba and Tsukiji, where the fish market used to be. The tour conductor explained all of the sites very well and made me want to visit the sites for myself! 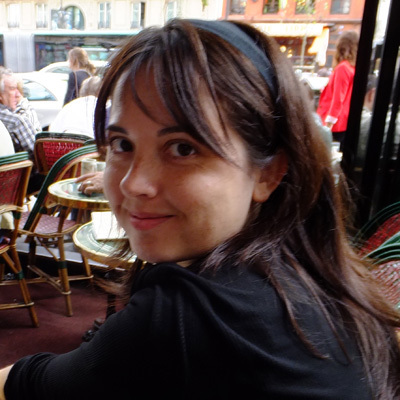 The restaurant was located in a quiet street. The restaurant gave a homey feel, making you feel like you are actually sitting in a Japanese house. 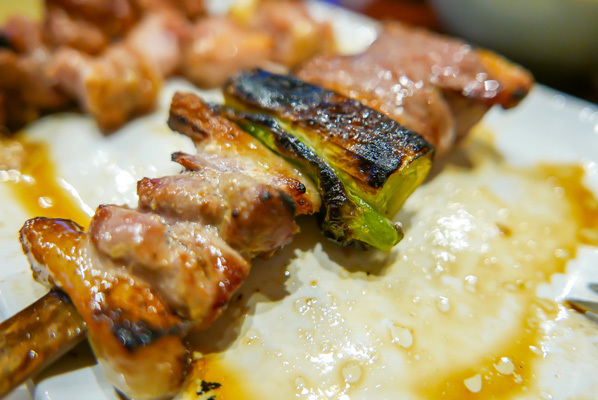 The food was delicious with great flavours, we ordered the course with 9 different yakitori sticks. Each one was unique in their own way and had amazing flavours coming out. 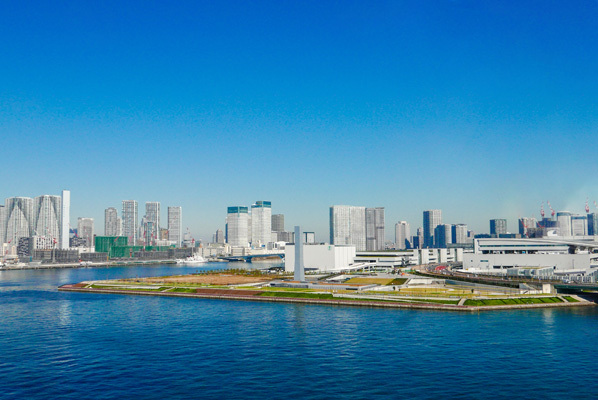 The Panoramic Tokyo Drive tour takes you past some of the city’s most famous sites, including Tokyo Tower, the National Diet Building, Rainbow Bridge, and the Toyosu fish market. 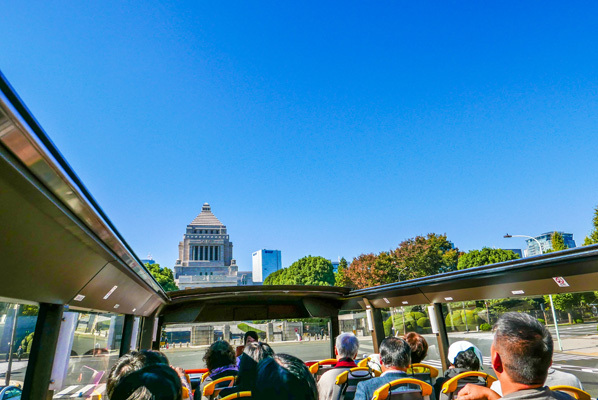 Seeing it all from the comfort of an open-top bus is a great way to escape the busy crowds while still experiencing the vibrant atmosphere of the city. Kyobashi Isehiro is a rare secret gem you’ll want to keep all to yourself! This restaurant definitely ticks all the boxes in terms of great food, fantastic service and traditional atmosphere. 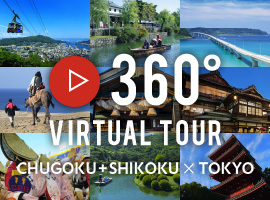 The Tokyo City View is is great if you want to see a 360 view of Tokyo without the huge crowds. 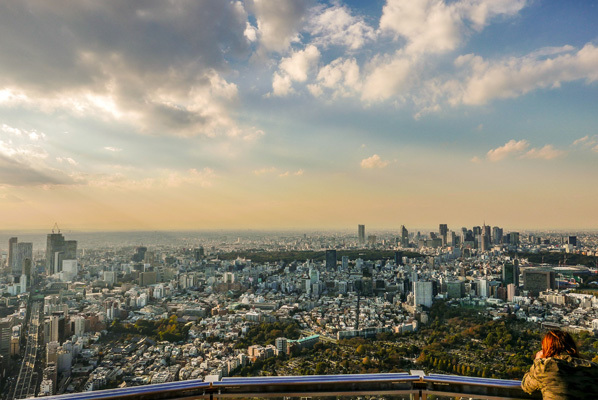 t’s easy to take many great photos of the Tokyo city views. It was relaxing and a really enjoyable place for me. 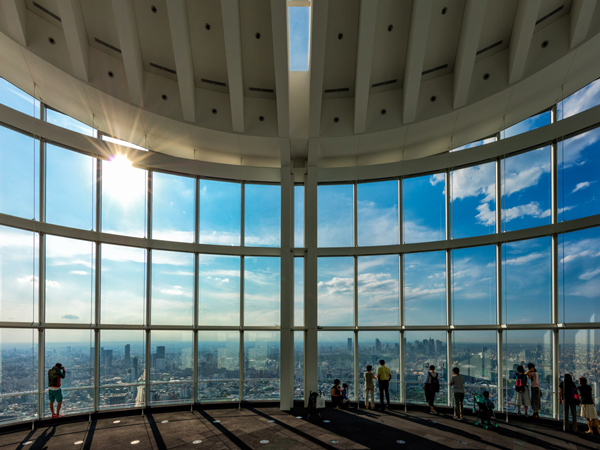 From the rooftop Sky Deck you are able to enjoy the open air along with the view. 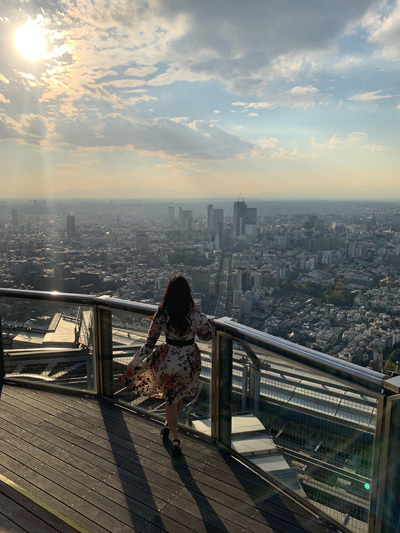 We went when the sun was starting to set so we got a lovely view of Tokyo. 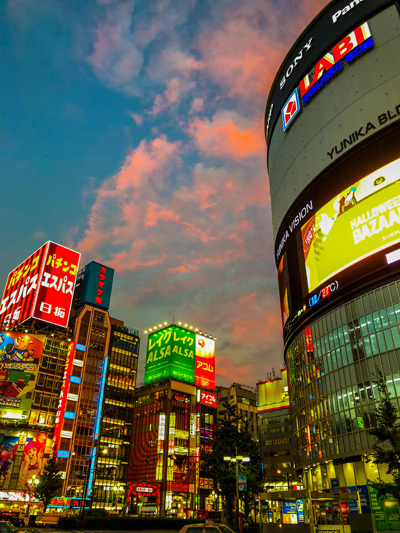 Roppongi is a great and accessible place for tourists, and it is convenient for sightseeing, dining, and shopping, etc. 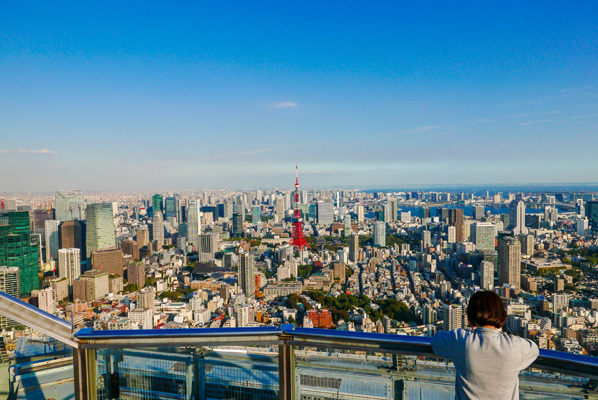 The outdoor observation deck at Tokyo City View is a completely open-air experience, which makes it the ideal spot for capturing the perfect photo of Tokyo. Seeing the sprawling metropolis spread out around you from a bird’s-eye point of view is a fantastic experience and a tour highlight that will stay with you long after your visit. 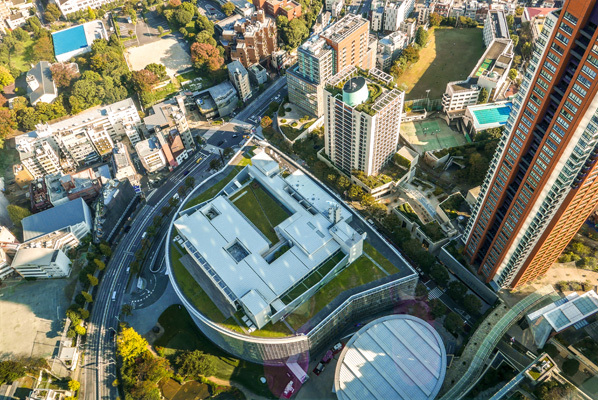 The Roppongi Hills complex is home to some swanky boutiques and restaurants, making it a great place for window-shopping and a relaxing afternoon stroll. 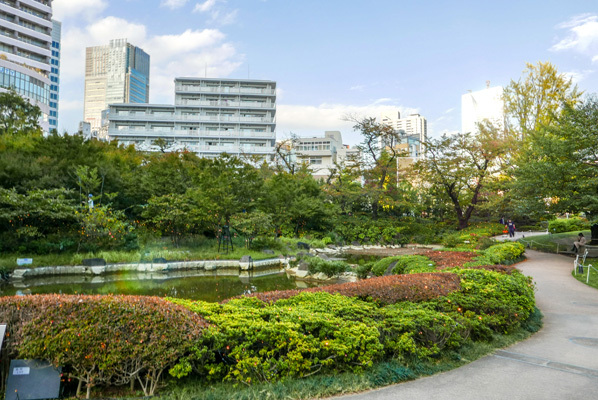 It also has a nice patch of green called Mori Garden, where you can take a break while walking around the city. We first headed to the Hanazono Shrine where there are a lot of lanterns set up. 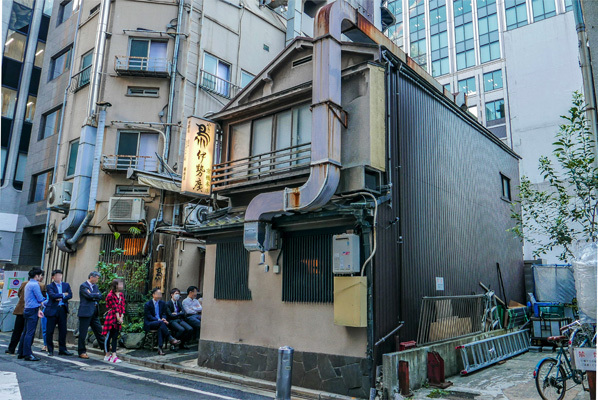 It had a peaceful atmosphere and it is easily accessible, it’s a 5 minute walk from Kabukicho. 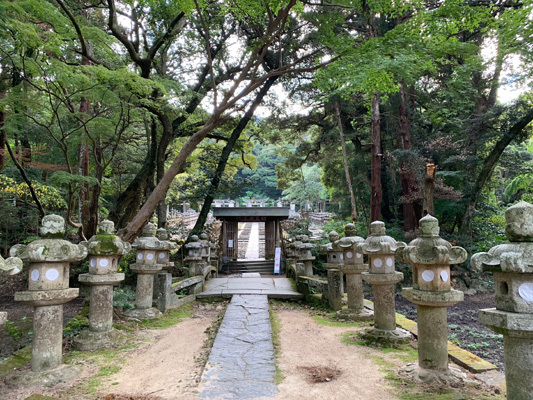 If you are only staying in the city and still want to see a nice temple or shrine but don’t have time to, this is a nice walk you can take to see one. 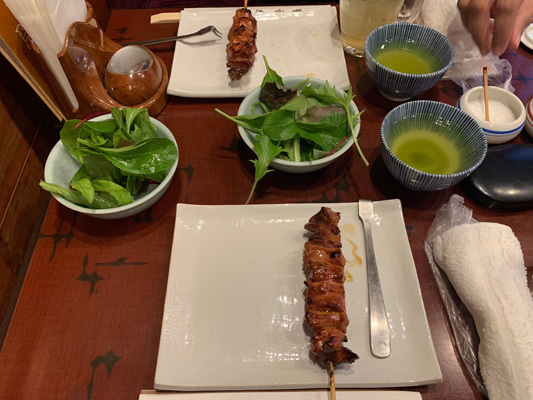 The way you order at the Izakaya is very easy, you order what you would like on the screen then send it off to the kitchen. You can order without a waiter! The food came out very quickly and was very delicious. 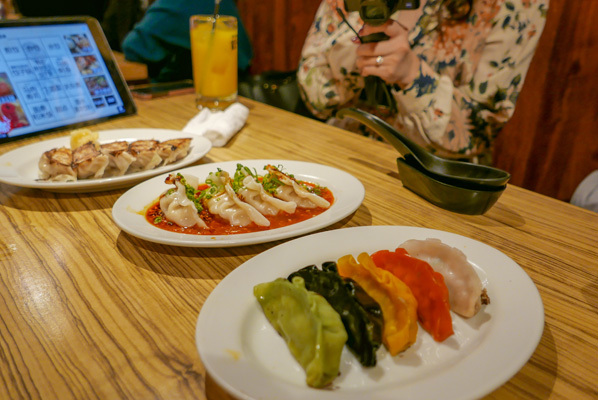 We were able to try out different flaours of gyoza (dumpling) dishes. 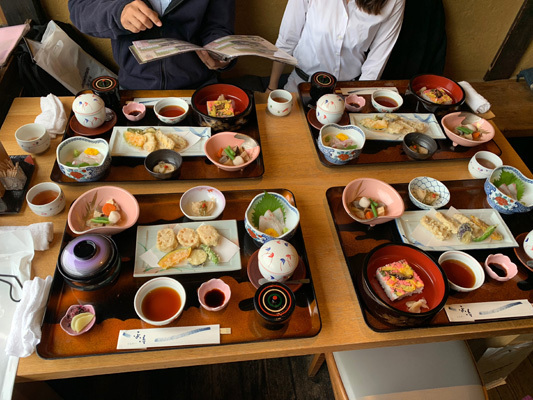 This is definitely something I would recommend to foreigners coming to Japan as you are able to experience a great dining experience with authentic Japanese food and you’ll be able to order very easily. 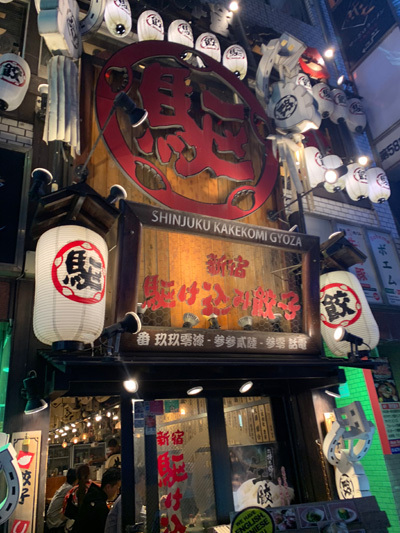 We went for a walk in Kabukicho located in Shinjuku, which is where the nightlife is in Japan. 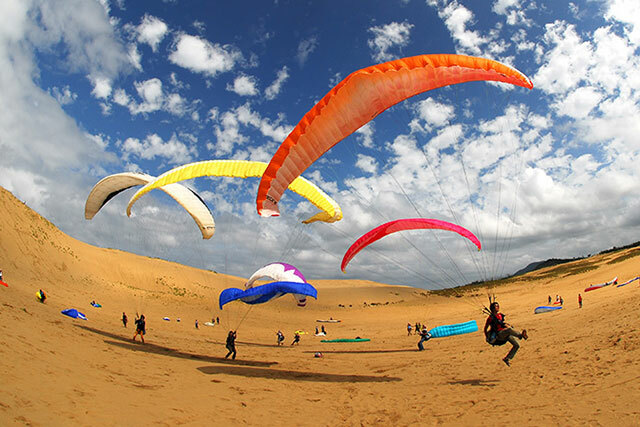 Even though it is known for the nightlife, there are a lot of other things to see as well. 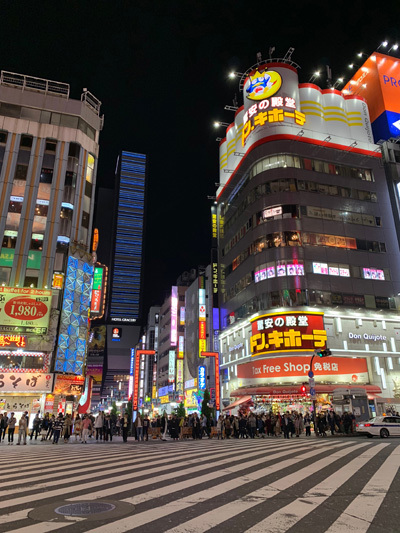 A nighttime stroll around Shinjuku is the perfect way to fill your senses with everything that modern Tokyo has to offer. Neon lights, bustling crowds and picturesque alleyways filled with tiny hole-in-the-wall eateries make you feel like you’ve stepped into a sci-fi fantasy world. 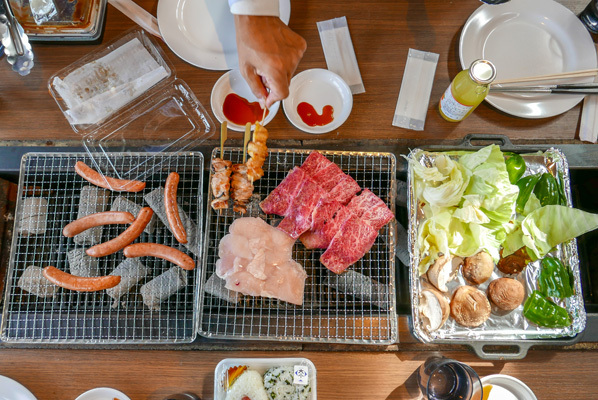 A visit to an izakaya, or Japanese tavern, is the best way to experience the country’s casual dining culture and get a taste of the real Japan. 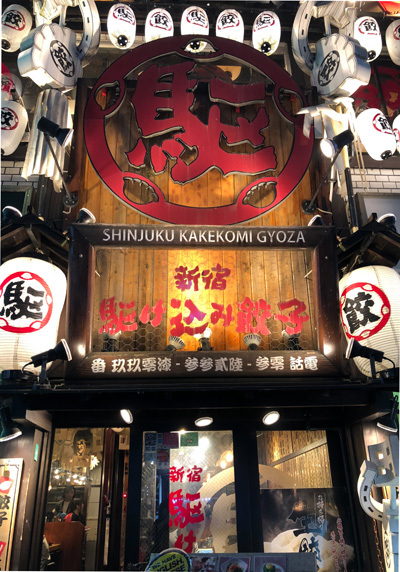 Shinjuku Kakekomi Gyoza is particularly unique as it helps former prisoners reintegrate into society by offering them employment, and it’s also open 24 hours, making it a great spot for a meal at any time of the day or night. 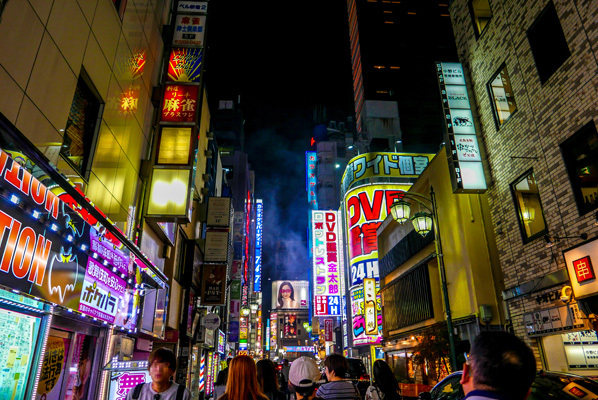 Kabukicho is one of the most vibrant and lively areas of the city for a nighttime stroll. 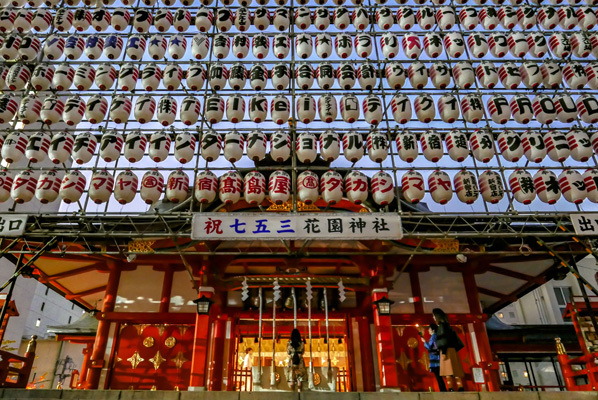 Surprisingly, in amongst all the bright lights and maze of alleyways, you’ll find a peaceful spot at Hanazono Jinja, a famous shrine that comes to life with a beautiful display of lanterns for the Tori no Ichi festival in November. 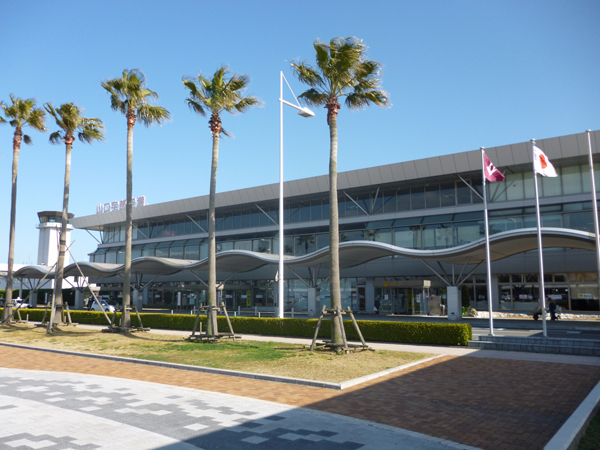 The hotel was located right next to the Toho cinemas where the Godzilla landmark is. 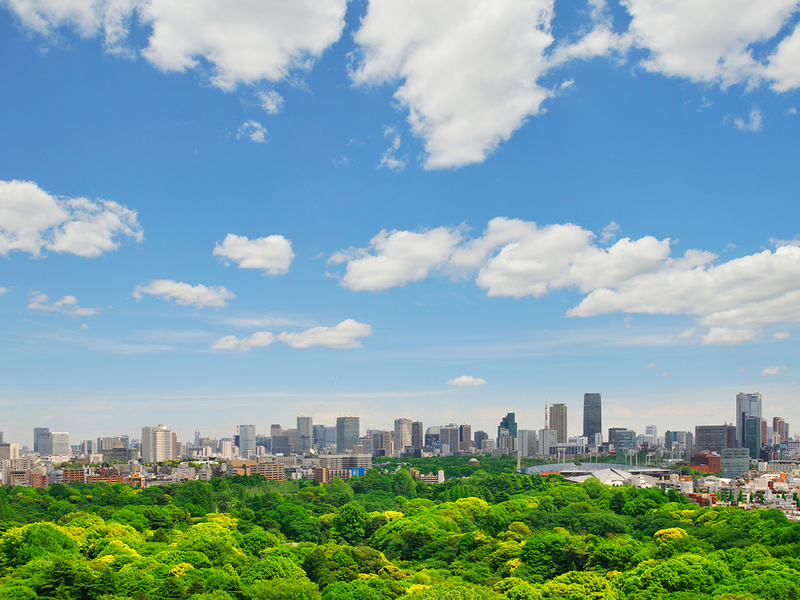 If you look outside the window you will see an outstanding view of Shinjuku. The service was great, we were served breakfast in the morning that was beautifully presented. 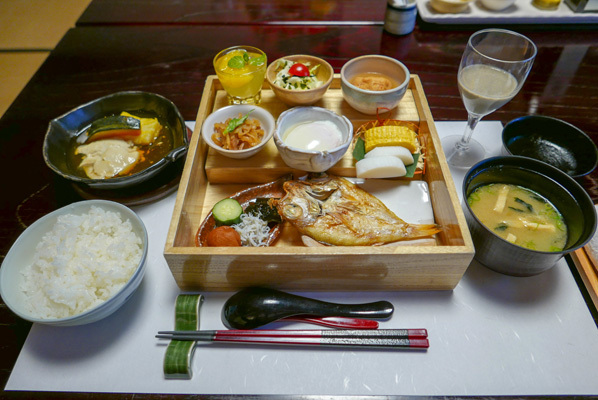 There was a selection of Japanese dishes so you get a little bit of everything. The hotel has bars, shops, restaurants and even a huge replica of Godzilla right on the doorstep. Rooms come with spacious bathrooms, and hotel staff offer a high level of service, even delivering a bento breakfast to the room ahead of our early morning departure. 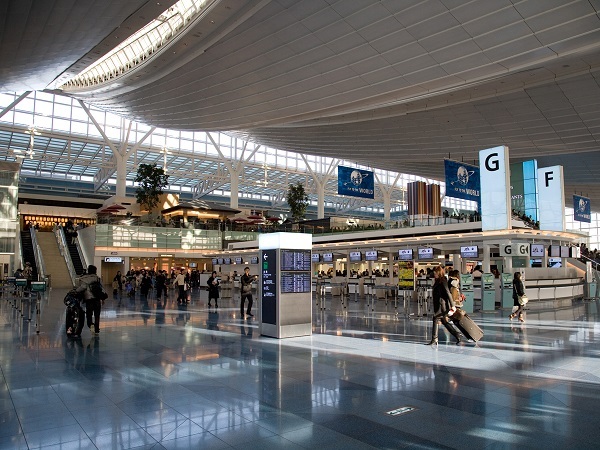 The check in process for A NA was fast and efficient with great customer service from the staff members. To board the plane we scanned our QR code, then proceeded to board our flight. Everything was done in a quick and organized manner. As the flight to Yamaguchi is a short one, we were served a selection drinks as refreshments before we landed. 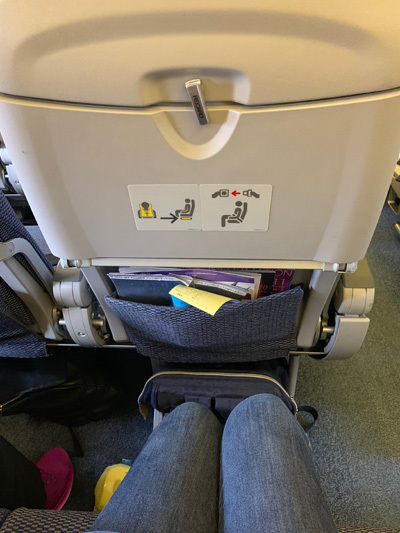 The seats on the ANA flight were also very comfortable with plenty of leg room. We arrived on time and luggage came out very fast. 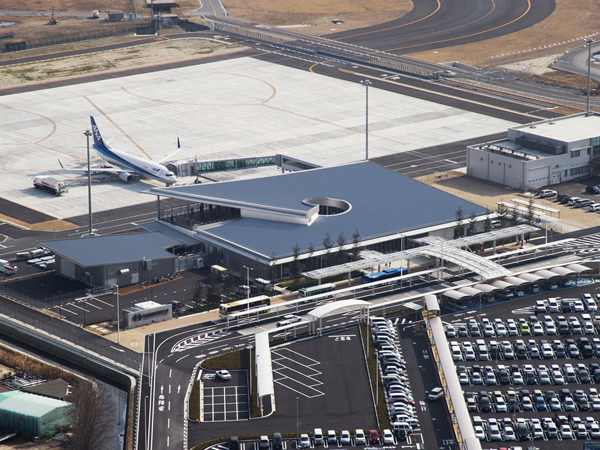 ANA offers a very high standard of service, and our flight out from Tokyo was smooth and punctual. 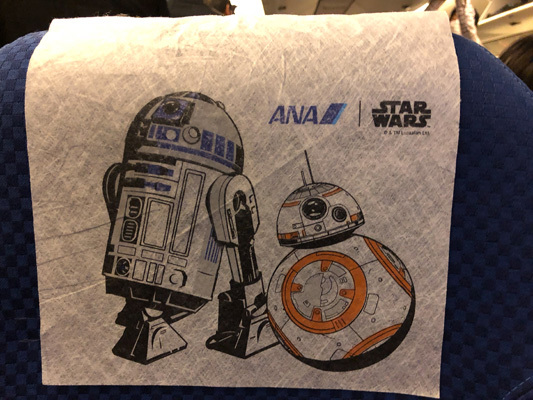 On the way back into Tokyo, we were lucky enough to fly on the Star Wars plane, which came with lots of cute Star Wars-related details, including an announcement from C-3PO and R2-D2. 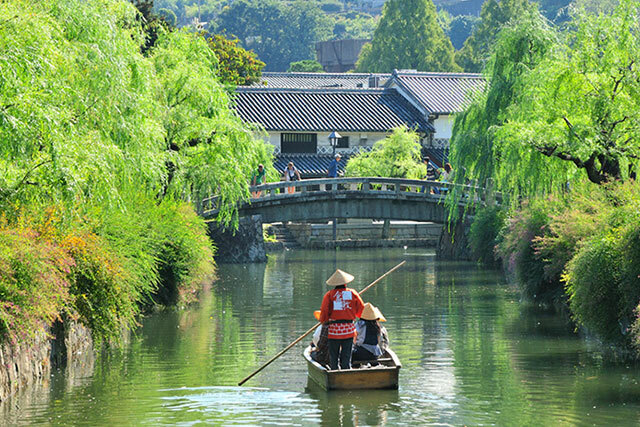 Kintaikyo was built in 1673 and is a wooden bridge symbolic of Japan. 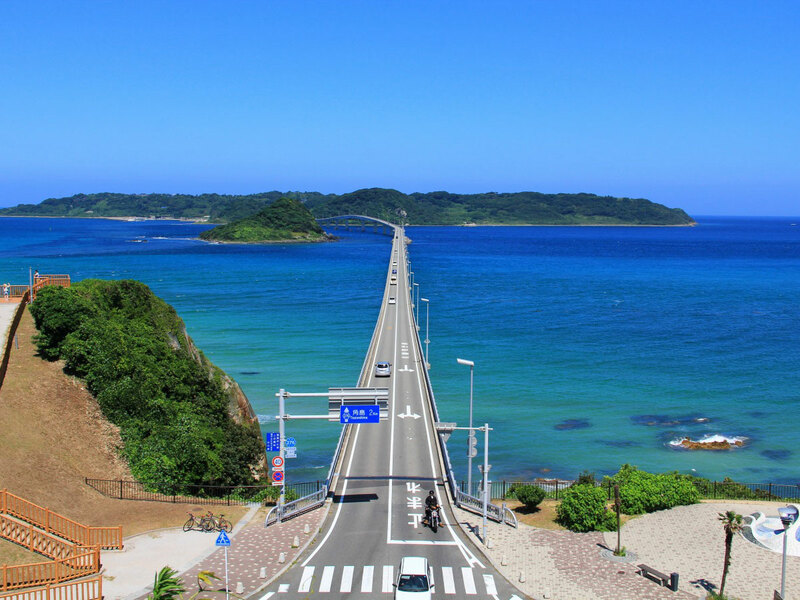 The bridge is a series of five wooden arches, a rare sight even outside Japan. It is the culmination of masterful techniques and this tradition lives on through the replacement of the bridge rafters. 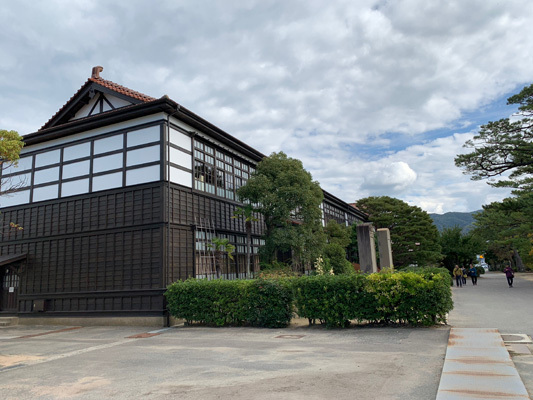 There are many tourist attractions nearby, including historical buildings such as Iwakuni Castle, the Old Mekata Family's House, and the Nagayamon Gate of the Kagawa Family, as well as art and history museums like the Iwakuni Choko-kan Museum, the Iwakuni Art Museum, and the Iwakuni Shirohebi (white snake) Museum. 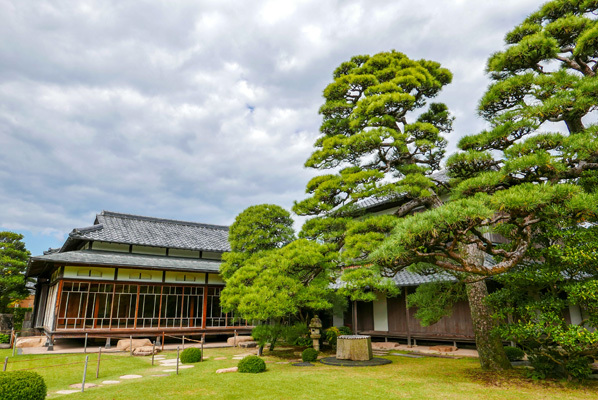 The Iwakuni Shirohebi Museum, in particular, is a National Natural Monument and the only place in the world that the "Iwakuni white snake" inhabits. Visitors can learn about the life and history of white snakes through games and scale models. 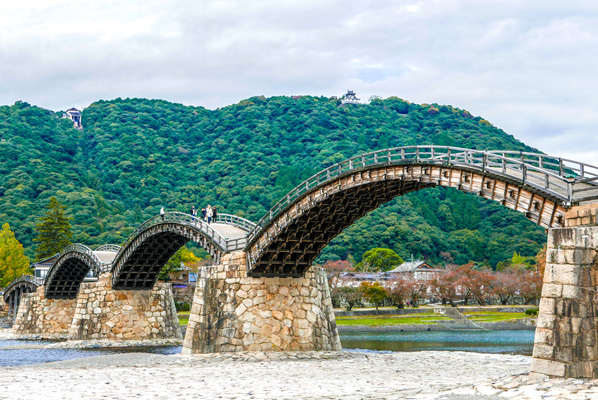 The Kintai bridge is a wooden arch bridge built in 1673 in the Edo period located in Iwakuni. The water is very clear and fresh, you can see the locals fishing too. 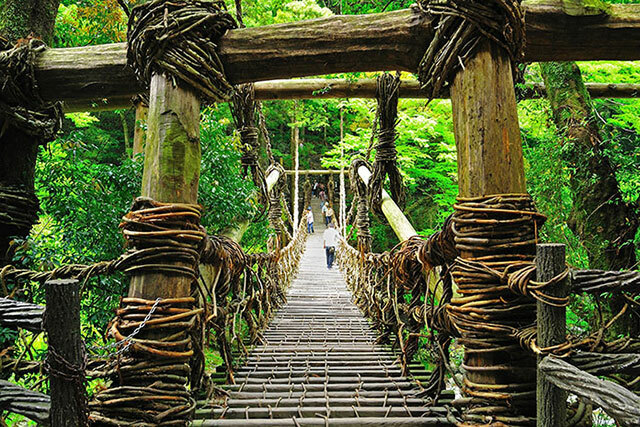 There is a small fee to cross the bridge, however it is worth it because of the unique design. 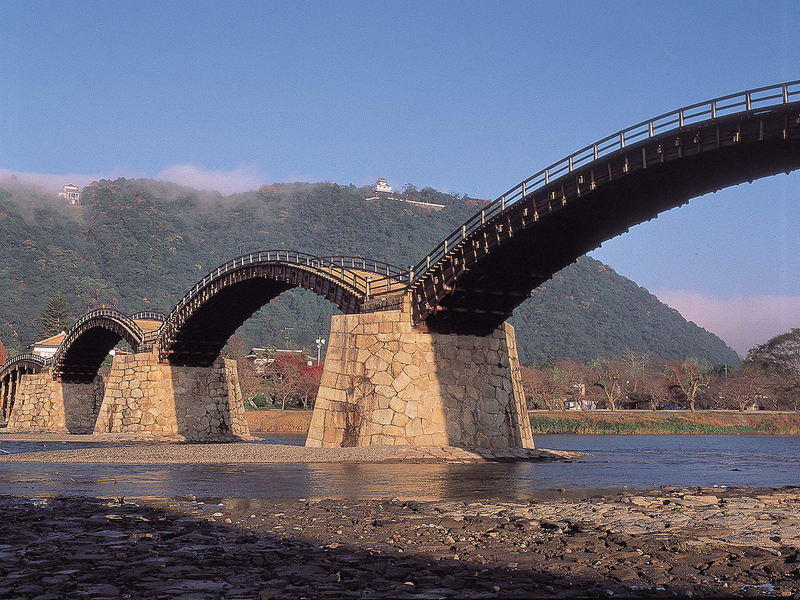 The Iwakuni Art Museum is located across the Kintai Bridge and exhibits traditional Japanese culture. 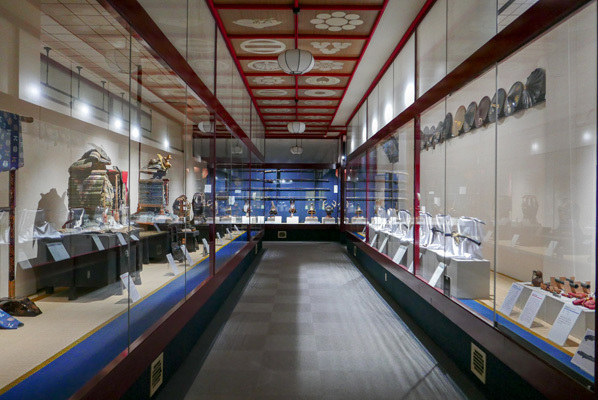 You can learn about the way of samurai life by looking at the various types of armor and swords on display. It was such an enjoyable experience as the owner was very excited to show us around and explain everything the museum had on display. 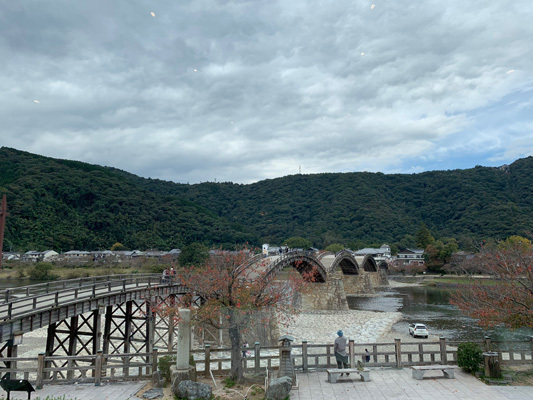 The restaurant Hirasei is located across the road from Kintai Bridge, and the view from the second floor is amazing with a beautiful view of the bridge. It made the atmosphere seem calm. For lunch we were served some traditional Yamaguchi dishes. The presentation of all the dishes was lovely, the food was light but also really filling. Yanai is a bright town with white walls, and around the town there are gold fish laterns that run for around 200 meters. 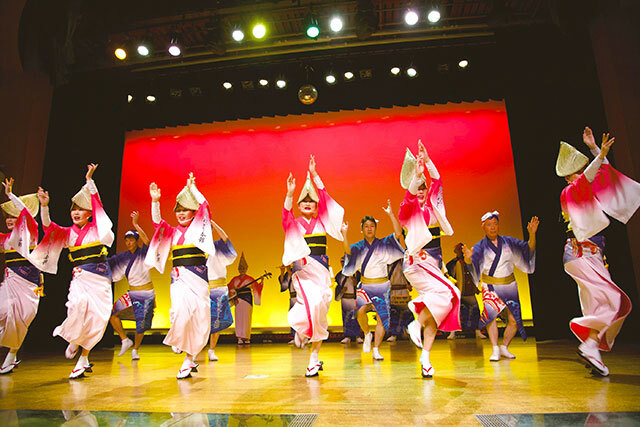 The lanterns were inspired by the Aomori Nebuta Festival. 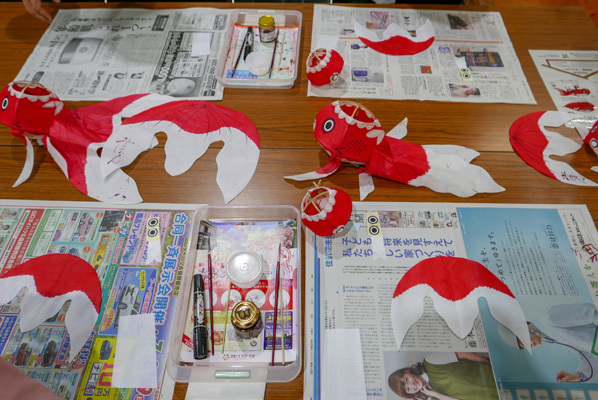 In the demonstrations of making lanterns, we were guided step by step along the way, and were able to draw the fins and tail of the fish using ink so it was like calligraphy. It’s a great souvenir to bring home as it’s light and is a cute memory to hang up! 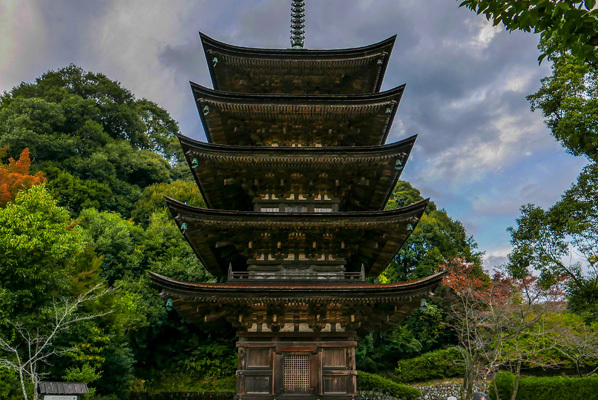 When we arrived at the Five-Storied Pagoda at Rurikoji temple, the sun was just setting so we got to see a spectacular view of the Five-Storied Pagoda. The temple was very peaceful and quiet as we walked around. One particular mystery here was if you stood and clapped at the path leading up to the grave, an echo can be heard. The gardens outside the temple were really well kept and were beautiful. A representative wooden bridge in Japan and one of Japan’s “three famous bridges.” Kintaikyo is a stunning historic pedestrian bridge and well worth the small fee charged for crossing. 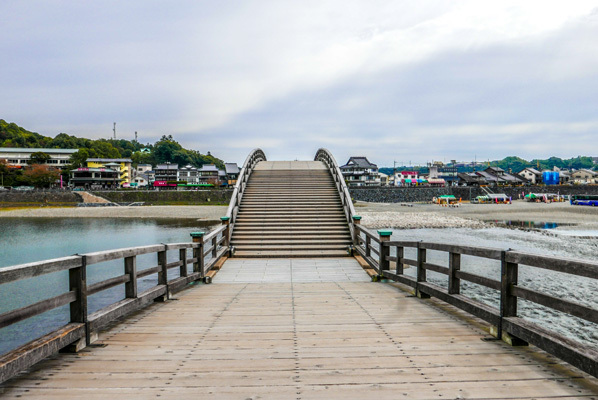 Not only is it fun to walk up and down over the five wooden arches, it’s also a great place to soak up some history as you get to imagine what it was like back when the bridge was exclusively used by samurai travelling to the castle. 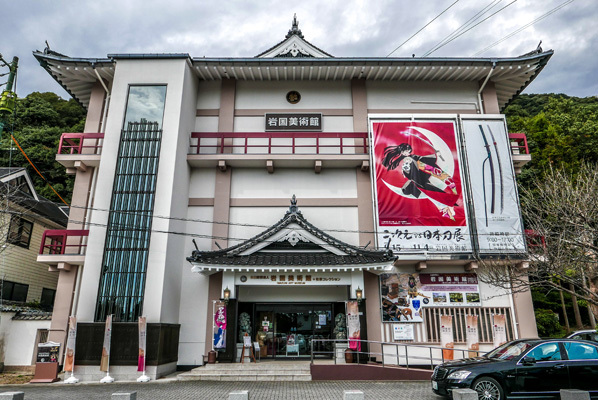 The Iwakuni Art Museum has a huge collection of impressive samurai-related artefacts on display, including swords, armour and weapons. 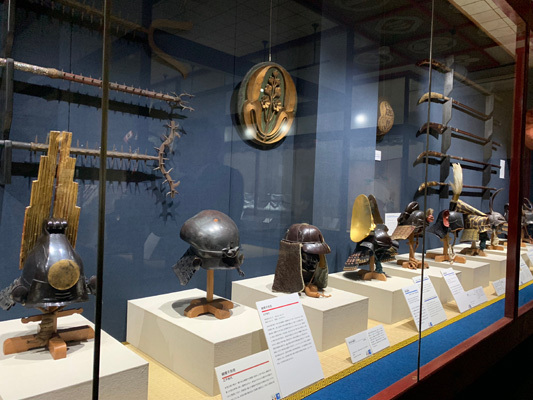 They even have a collection of genuine samurai helmets, adorned with unusual motifs like clamshells, crab claws and rabbit ears, which were used to symbolise characteristics like strength and speed to both the wearer and those on the battlefield. 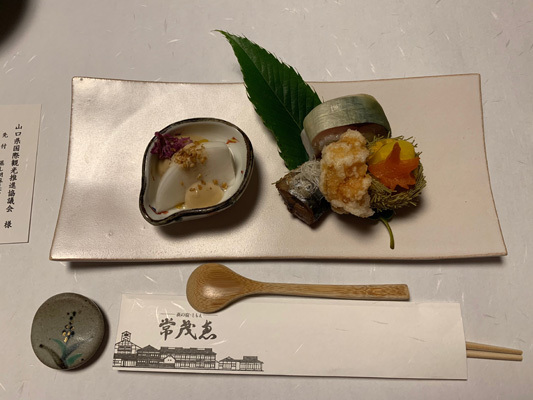 Founded back in 1858, Hirasei is a great place to eat Iwakuni-zushi, a type of pressed sushi made in a wooden box and topped with colourful ingredients such as shredded egg crepe, mashed seasoned fish, and shiitake mushrooms. 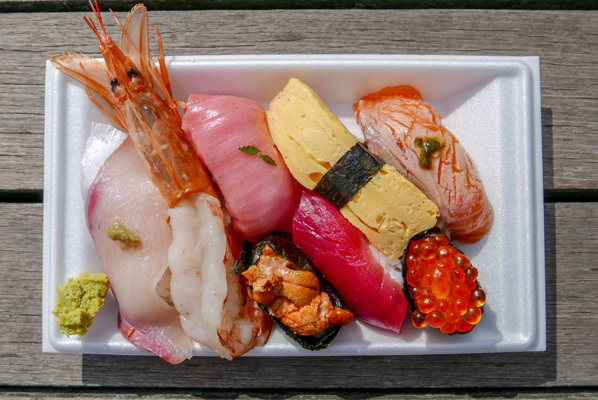 It’s an absolutely delicious local specialty that’s been passed down in Iwakuni for generations. 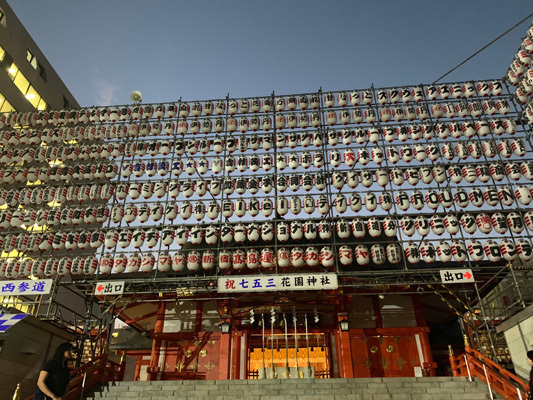 A home to a traditional soy sauce factory, a collection of whitewashed buildings, and an impressive local handicraft display, made up of hundreds of cute red-and-white goldfish lanterns. 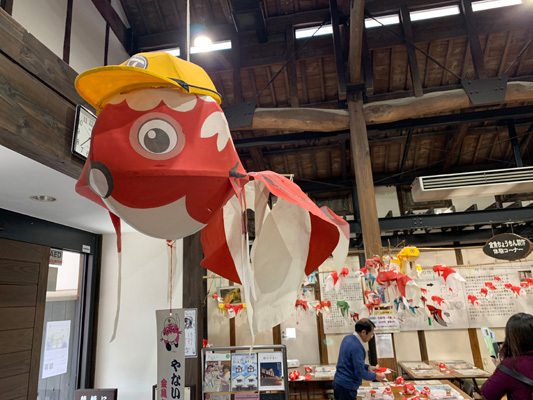 The town offers a 30-minute workshop where you can make your very own goldfish lantern to take home, and it’s a really fun and easy activity that people of all ages can enjoy. 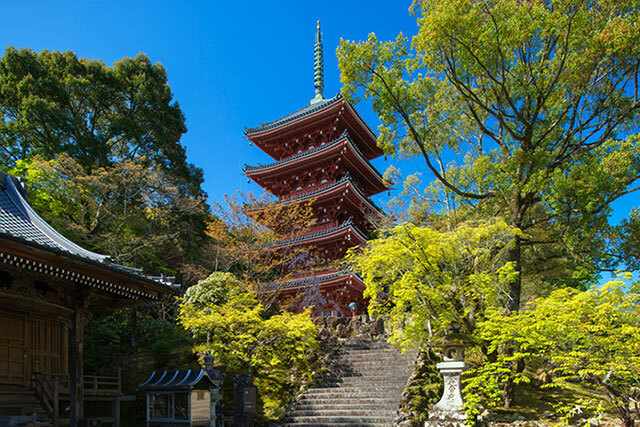 Designated a National Treasure, the five-storied pagoda at Rurikoji temple is ranked as one of Japan's three greatest. 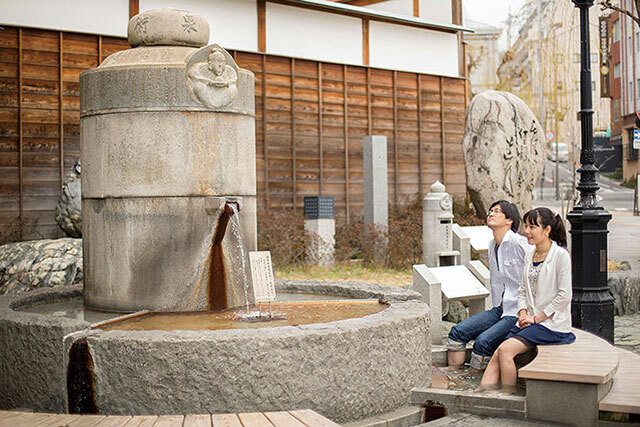 Located in a beautiful temple setting, there’s plenty to see here, and one highlight is the Uguisubari Stone Pavement, which has an echo that “sings” like an uguisu, or Japanese bush warbler, when you clap your hands or stomp your feet on it. 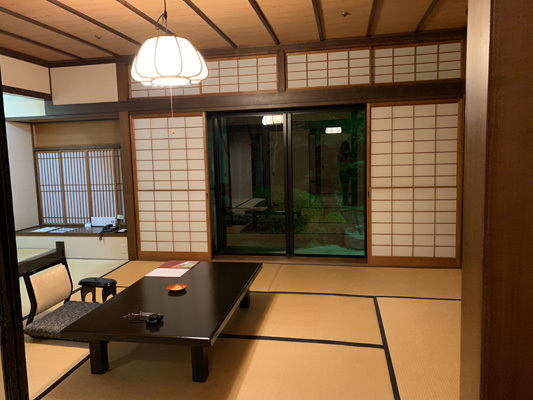 We stayed at Hagi no Yado Tomoe which was a lovely ryokan (Japanese style inn). 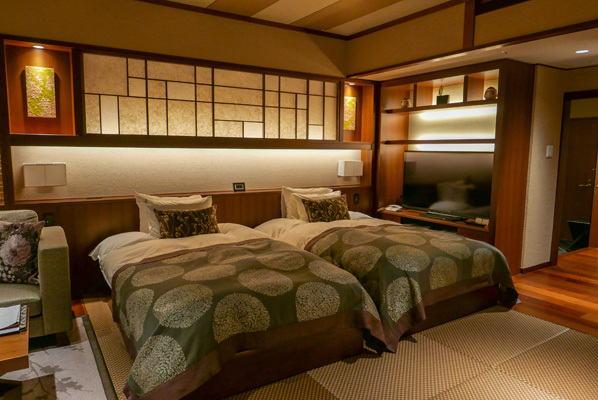 The room was very wide and spacious, and it also came with your own private view of a traditional Japanese garden. 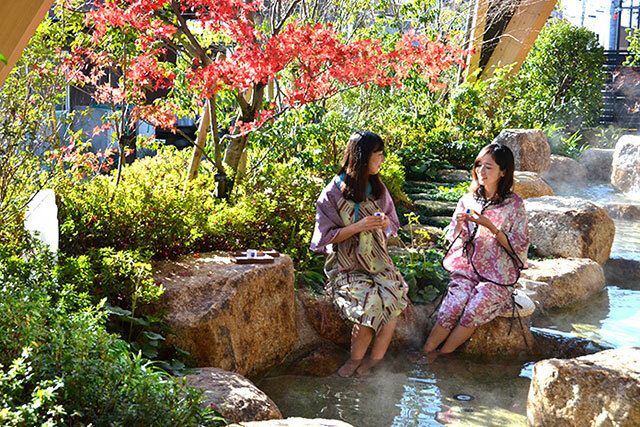 The hotel also had an onsen (hotspring) that you can enjoy at your leisure. For dinner, we were served very high quality Japanese cuisine that was amazing. Every single dish had amazing flavours and texture that blended in so well with each other. As soon as we arrived at the hotel we were greeted, shown to have a seat and were offered drinks for refreshments while checking in. 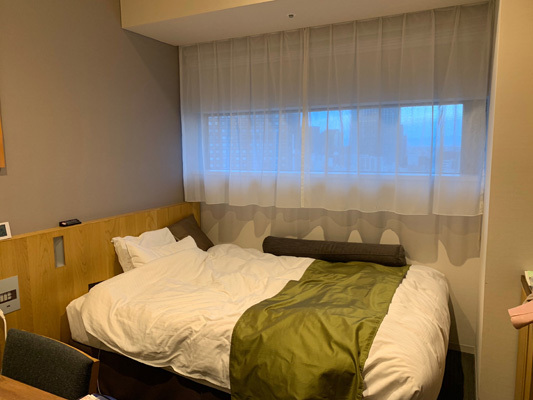 While we were at dinner, the hotel staff had prepared a futon for us to sleep on as soon as we arrived back into our rooms. They were very efficient and we felt very welcomed at the hotel. 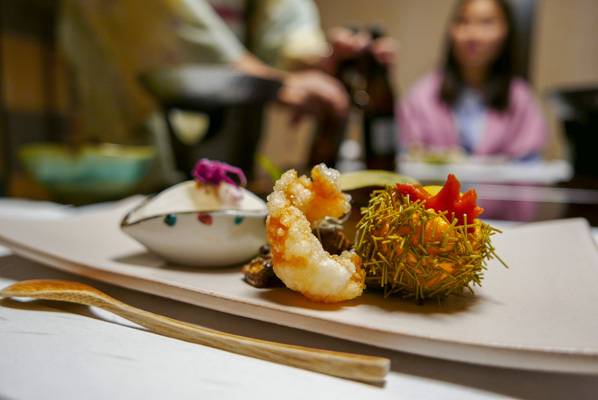 Dinner is served in a private dining room, women in kimono place dish after dish of carefully prepared meals in front of you, in the traditional kaiseki style. 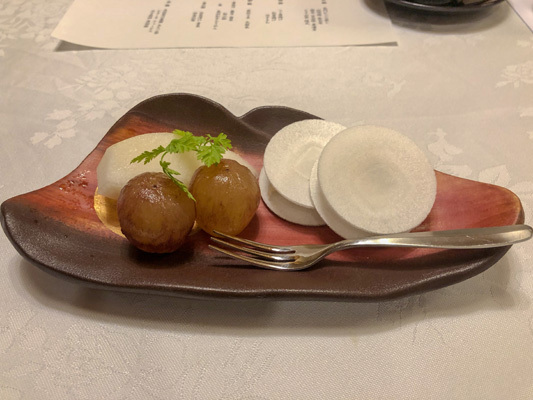 Each course is beautifully presented, using high-quality seasonal ingredients like Japanese mountain yams and matsutake mushrooms. Every dish was delicious and immaculate. 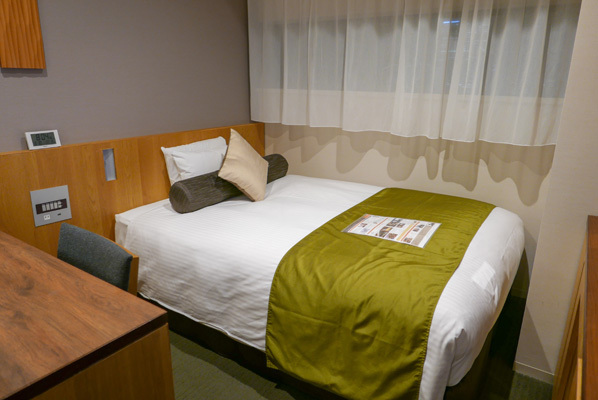 Rooms are spacious and come with beautiful traditional touches and views out to the central Japanese garden. 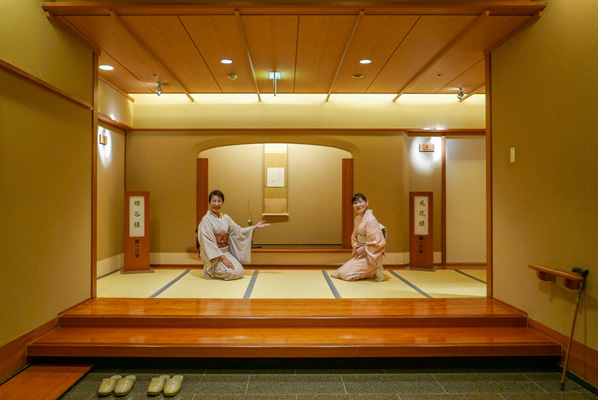 You can choose to bathe in the bathroom inside your room or in the beautiful communal onsen. 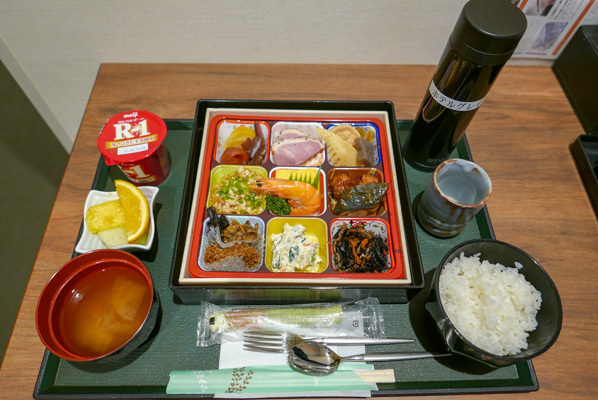 And before you check out, you’ll be served the most delicious and beautiful bento-style breakfast platter, with generous servings that will fill you up until lunchtime. 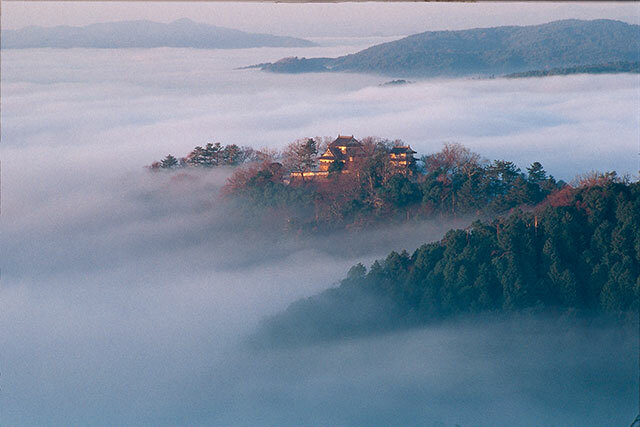 At Tokoji temple, the atmosphere was very peaceful and the scenery was very beautiful. Towards the back of the temple you find over 500 lanterns all lined up which are all lit up on August 15th of every year. When you learn the history behind these lanterns, you will be touched to know how much the people admired their lords. 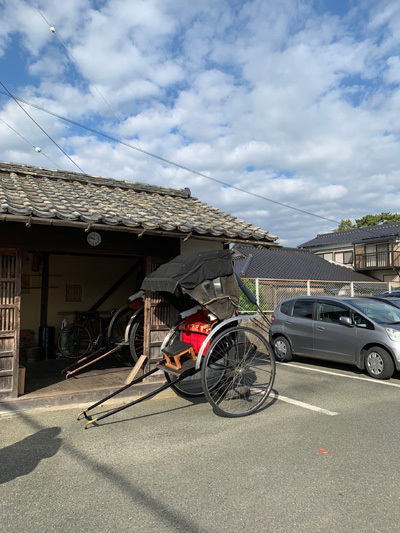 Upon our arrival at Hagi Castle, we were taken on a rickshaw tour where we saw a middle-class samurai house, which actually looked really big. The house we went to visit was from the Kikuya family, and was told that it is the second oldest house in Japan. We were shown the guest rooms and were able to see a beautiful view of the Japanese garden. The atmosphere was very peaceful and the view was very relaxing. 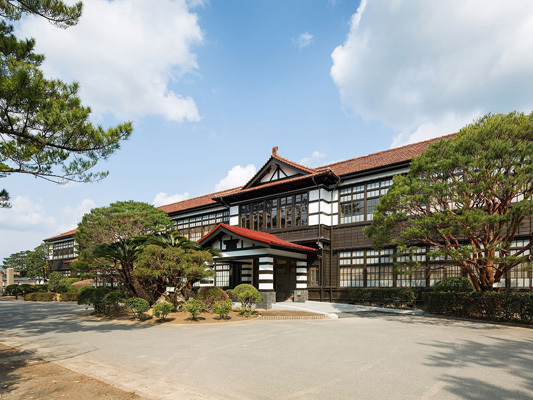 The Hagi Meirin Gakusha school building was built for upper-class children in the days when there were still feudal lords in this area and is now a world heritage site. We were able to take a tour of the building where we were shown what students used to use to study. It was very interesting to walk through and see how they were taught back in the day. We went to Senzaki Kitchen where we could choose our own ingredients to buy. There is a bbq area where you can sit down and grill all your ingredients with an ocean view. We decided to buy ingredients such as vegetables and meat to grill ourselves on the BBQ. It was a nice fun way to enjoy time with others and the view was beautiful. 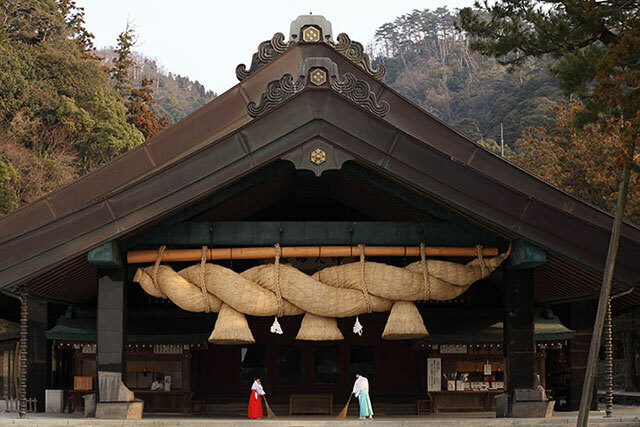 The Motonosumi Shrine is a hidden treasure in Yamaguchi. 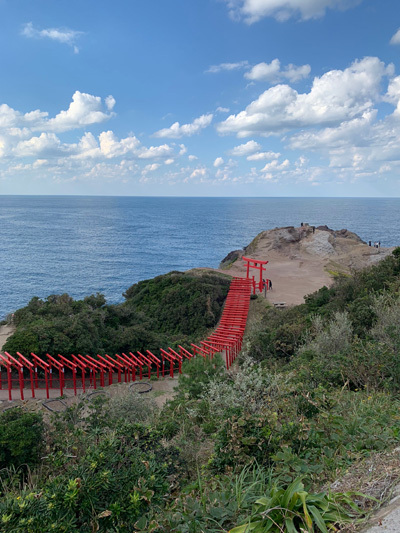 It is a shrine next to the sea that is impeccable.There are 123 shrine gates that stand in a row, giving it a stunning view. A unique thing about this shrine is at the gate you throw the coin up to try get it into the box on top of the gate. 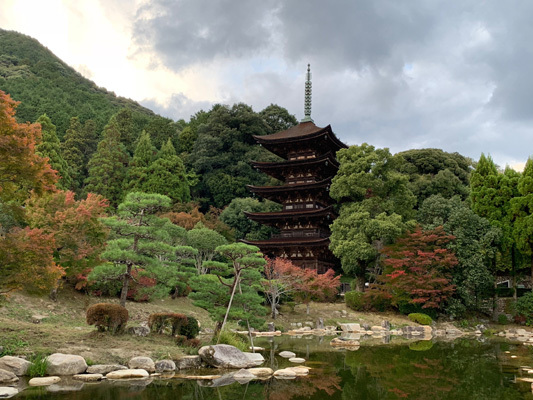 It has been one of the most beautiful places I have been to in all of Japan. 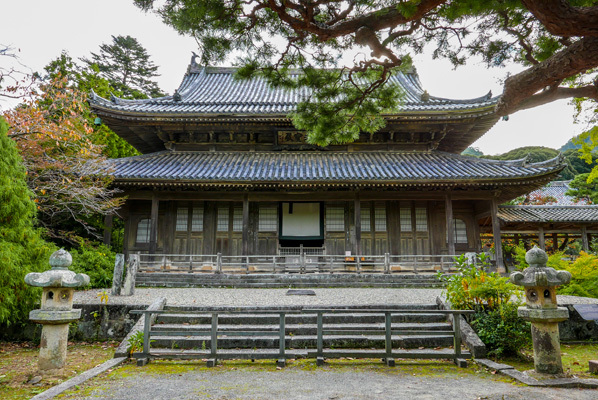 Built by the Mori clan in 1691, Tokoji Temple is home to several Important Cultural Properties of Japan. The main buildings have a unique Chinese-influenced style, and behind the main buildings lie a cemetery of Mori family tucked away in a forest, where the odd-numbered lords of the Mori clan (from the third to the eleventh) and their wives are buried. 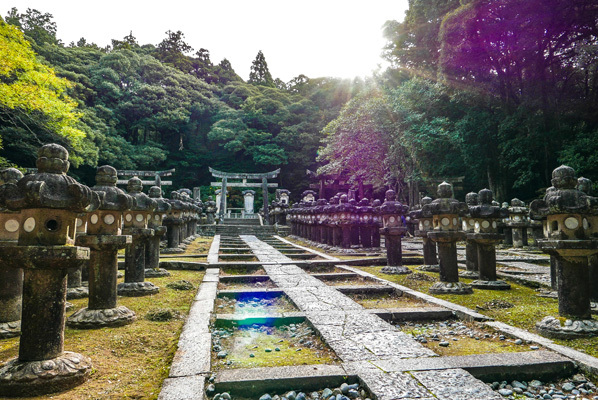 With stone torii gates and 500 stone lanterns creating a mysterious landscape, this sacred site has an intriguing, otherworldly atmosphere. 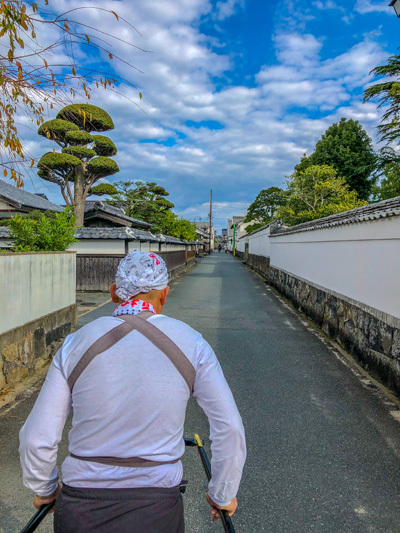 Walking around Hagi Castle Town - or touring it by rickshaw - is like going back in time. 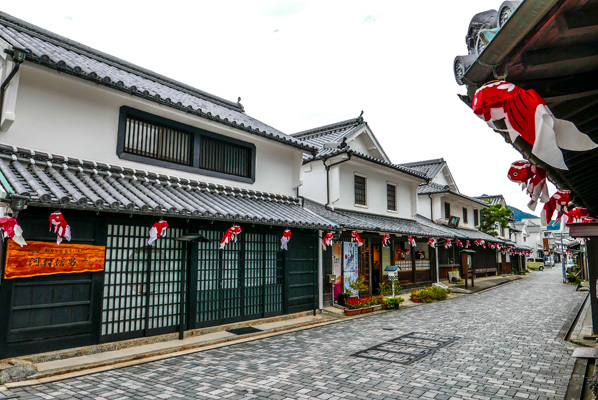 The town remains as it was in yesteryear, with old samurai and merchant homes, and white walls from the feudal era lining both sides of the quiet streets. 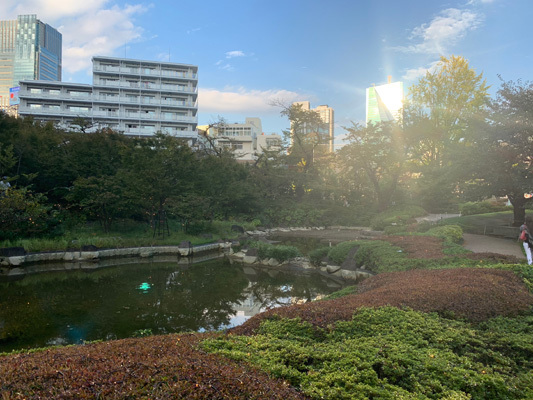 It is amazing to see the house and its grounds of the Kikuya Residence so beautifully preserved after so many hundreds of years. 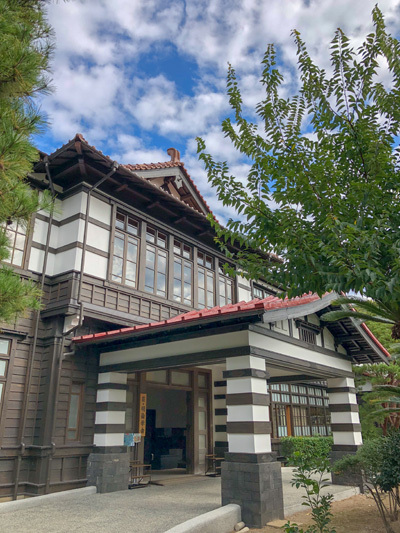 The schoolhouse is an elementary school built in 1935 on the site of the old school building which was founded for the sons of local samurai. It’s such an interesting experience to walk along the long, wide wooden corridors and step into the old schoolrooms, which now contain a wide variety of exhibits and historic items. 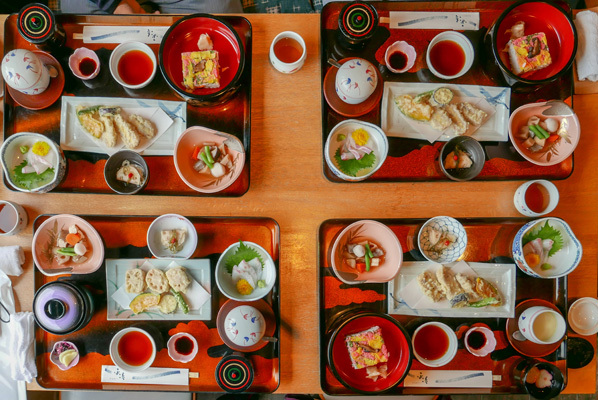 Senzakitchen is a fantastic place to try some of the best food in Nagato. 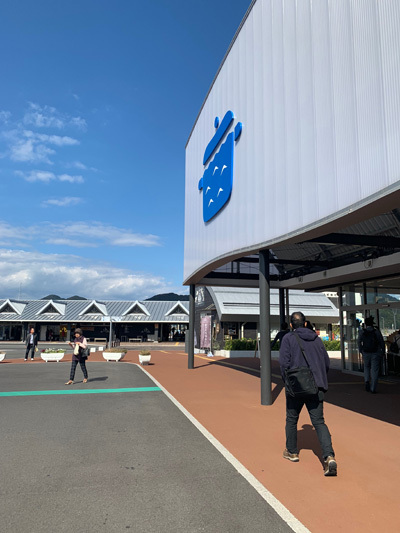 Customers who make a purchase at the store can also use the onsite BBQ area to cook up their meal, with cooking utensils, cutlery, plates, cups, water and condiments all provided. It’s a fun way to have a tasty meal, particularly with the gorgeous seaside view. 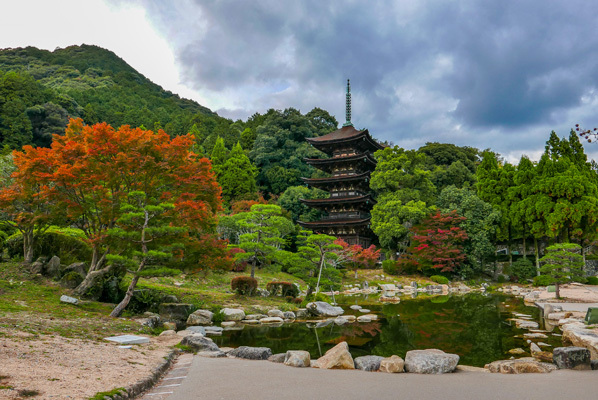 This shrine is an incredibly popular tourist site, often mentioned in travel guides as one of Japan’s most beautiful places. 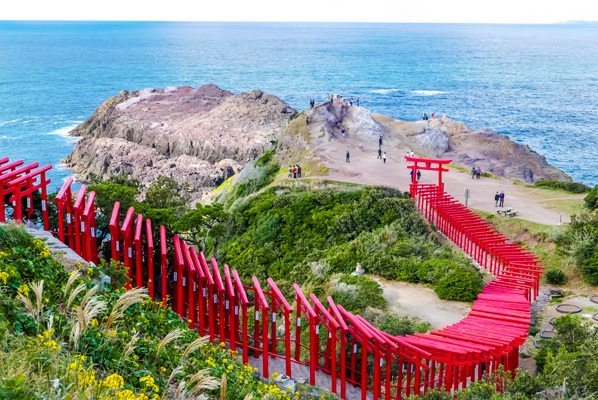 The mesmerising trail of torii gates that spreads out towards the sea creates a stunning vista, and one solitary gate is especially notable for its unique offertory box, which sits near the top of the approx. 6-metre tall structure. 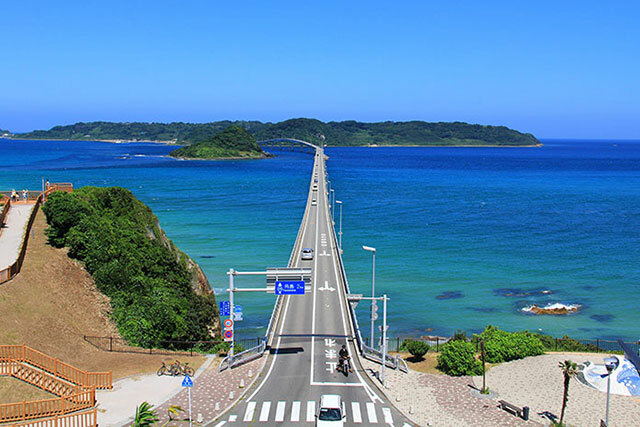 Tsunoshina Ohashi is the second longest bridge in Japan that connects the main island of Japan to an island, and is famous for its spectacular views. 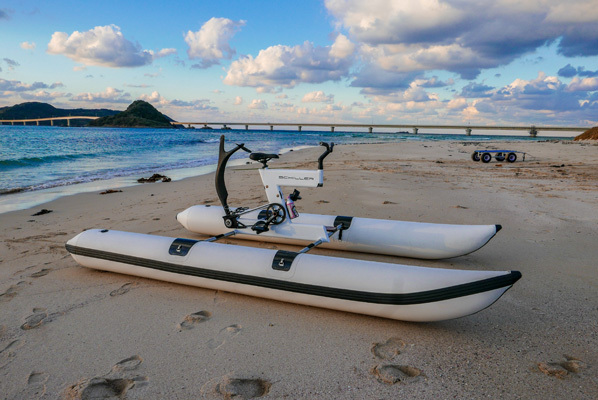 We visited Nagisanokouban, a non-profit organization that helps clean up beaches, and we experienced various activities near the bridge. We watched the beautiful dusk darken as we enjoyed water cycling. I would 100% recommend this to everyone coming to Japan, it was such a unique activity that I have never done before and it was very fun!! 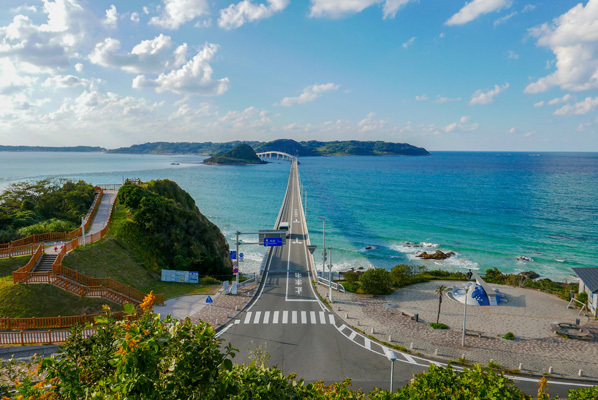 The straight, long stretch of road on Tsunoshima Bridge makes for a beautiful sight, and while it’s fun to drive or cycle over it, it’s fun to cycle underneath it too. 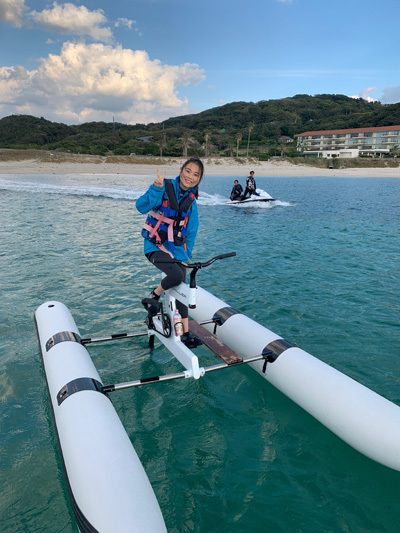 Water Cycling is just one of the many water-sport activities offered by local company Kaikousha, and they also provide drone footage of your time on the water to take home with you as well. 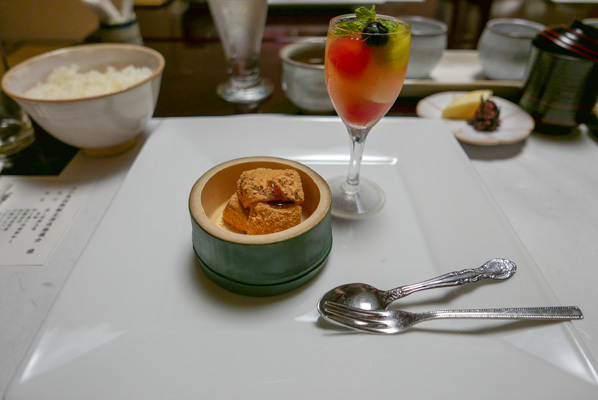 We had dinner at the restaurant in the hotel which was a course of Japanese delicacies. 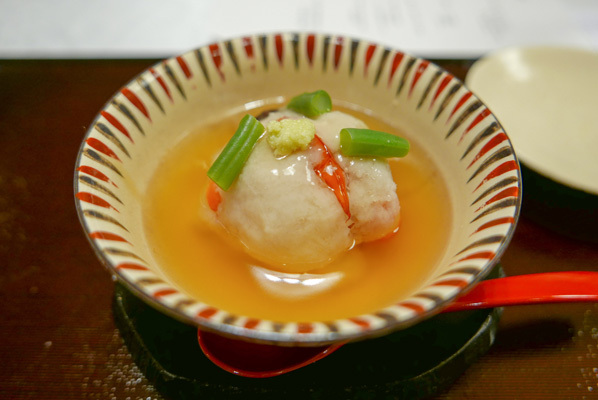 We were even served fugu (blowfish) as one of the dishes! The next morning I went down to the breakfast which was a buffet of Japanese and Western dishes. The buffet was excellent with a wide variety of different dishes! 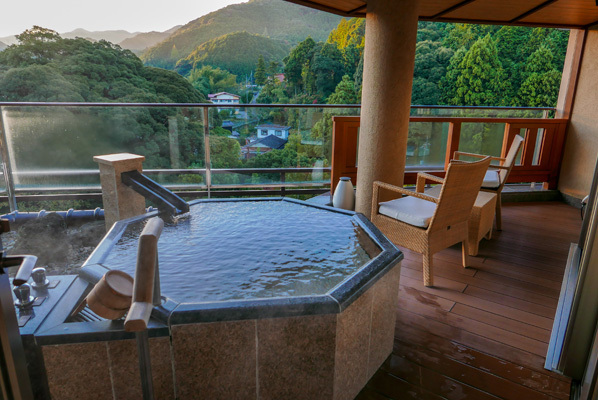 We booked the suite of Otani Sanso in Nagato that had it’s own rotenburo (outdoor hotspring). It had an amazing view of the mountains which I was able to enjoy in the morning. The room was very big with a beautiful view outside. 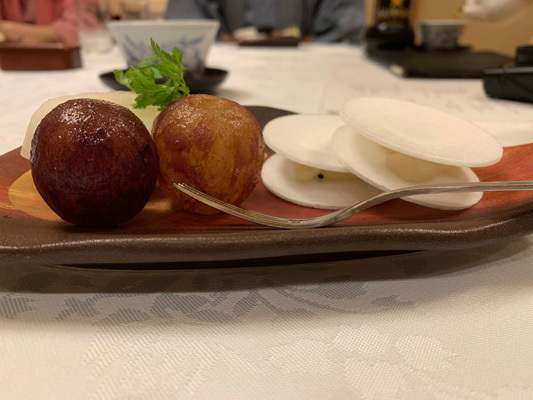 It is an unforgettable kaiseki experience, with sublime dishes on the most beautiful plates, all delicately prepared with the highest attention to seasonal details. 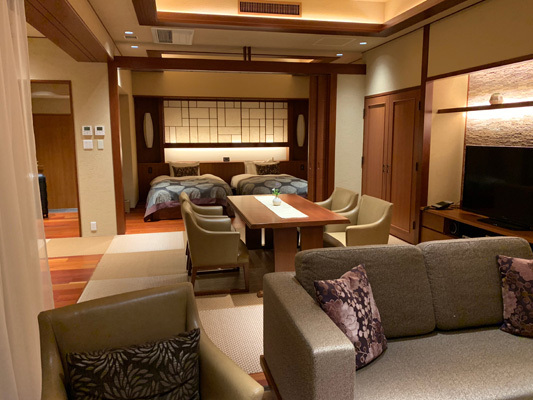 Otani Sanso is one of Japan’s most luxurious hotels, with Japanese Prime MInister Abe and Russian President Putin amongst their high-profile guests. 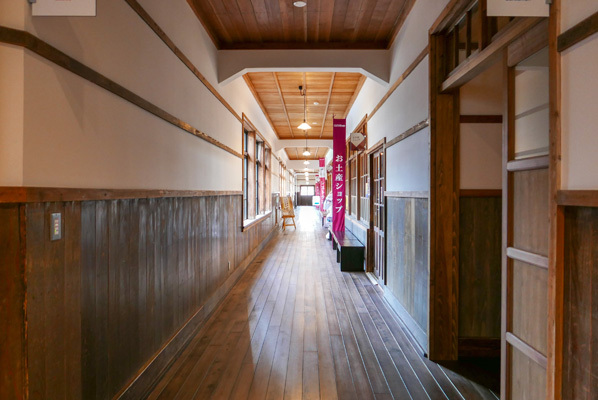 The staff are polite and attentive, and the rooms we stayed in were incredibly spacious and luxurious, complete with private onsen baths. 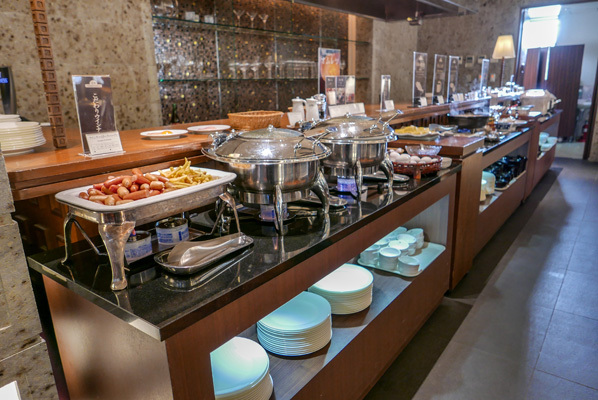 The buffet breakfast has a large variety of delicious hot and cold options. 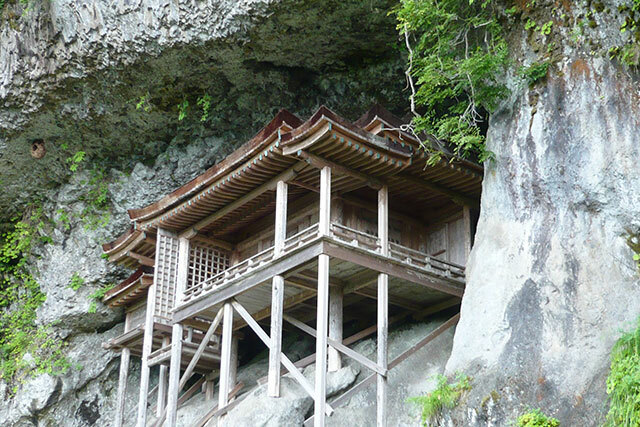 Akiyoshido is a limestone cave that is the biggest and longest in Japan. 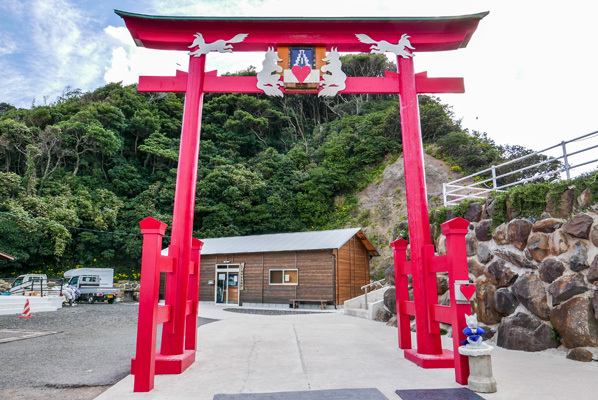 The entrance to the cave is located at Akiyoshidai, and the cave extends for 9 km, although only 1 km is open to the public. 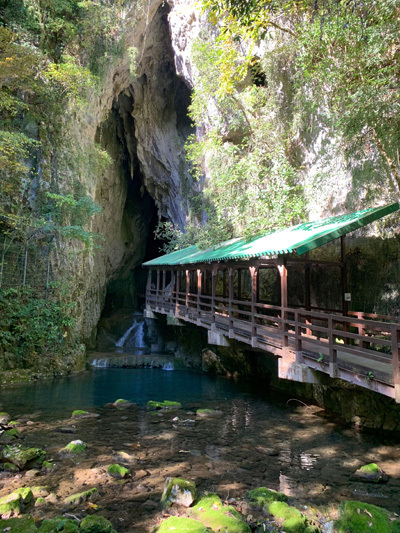 There are various different sites inside the cave such as limestone pools and waterfalls. At each station inside the cave, there are guides in various different languages. 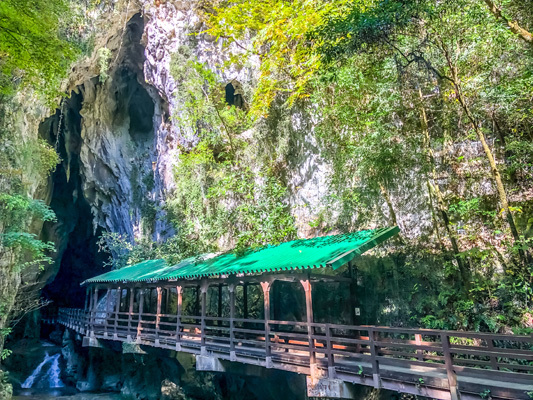 The natural formations inside Akiyoshido Cave are truly stunning, and come with multi-language explanations for visitors. 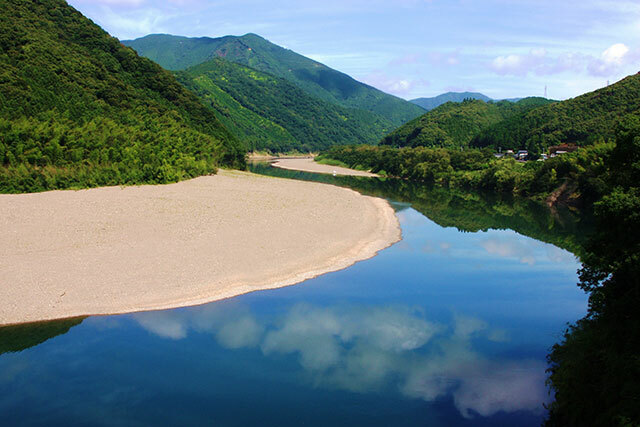 Both Akiyoshidai Plateau and Akiyoshido Cave are two sites that will leave you in awe of the power and wonder of Mother Nature. 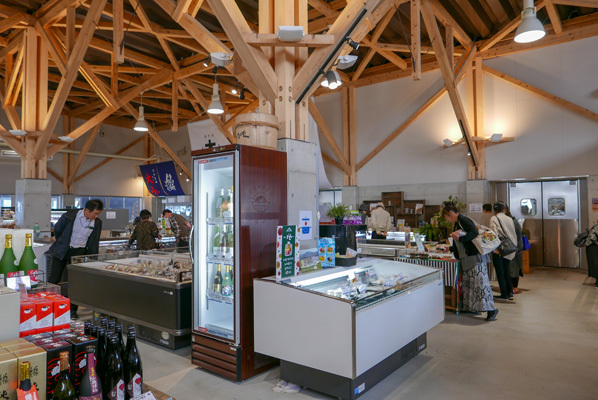 The Karato Fish Market serves as the kitchen of citizens where the general public can purchase all sorts of fresh fish and seafood. 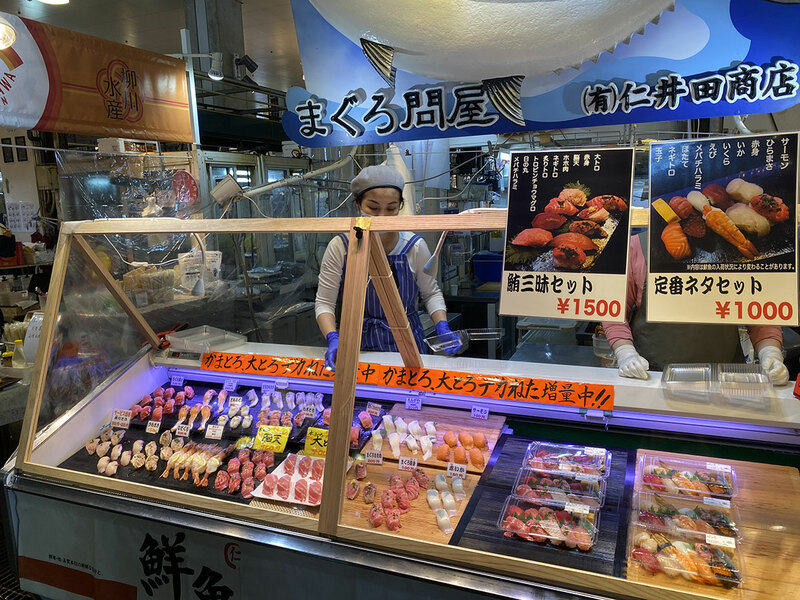 On Friday, Saturday and Sunday every week and on national holidays, the first floor of the market turns into the big open-air seafood stall “Iki-iki Bakangai.” There, crowds of visitors from all over Japan and other countries enjoy fresh hand-rolled sushi, “fuku jiru” blowfish soup and “fuku sashi” blowfish sashimi in a festive mood. The Karato market is one of the most popular places to go. 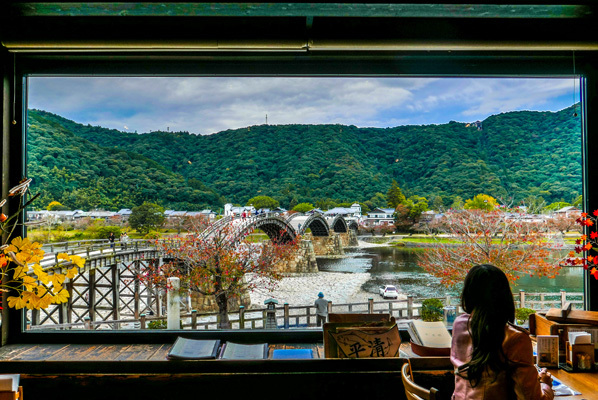 At various sushi market stores, you’re able to go outside the area to sit down and eat with an ocean view. 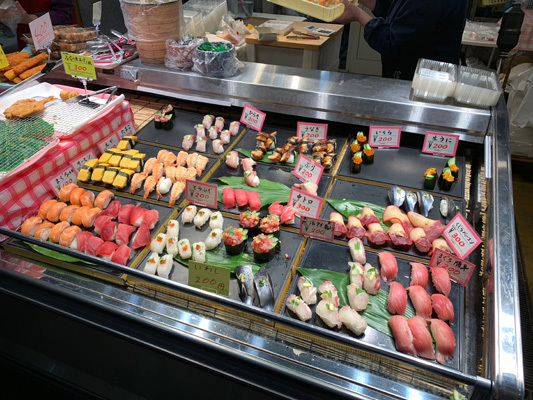 It was great because you can pick yourself what you want, and the prices were also very decent with a wide selection of different sushi. 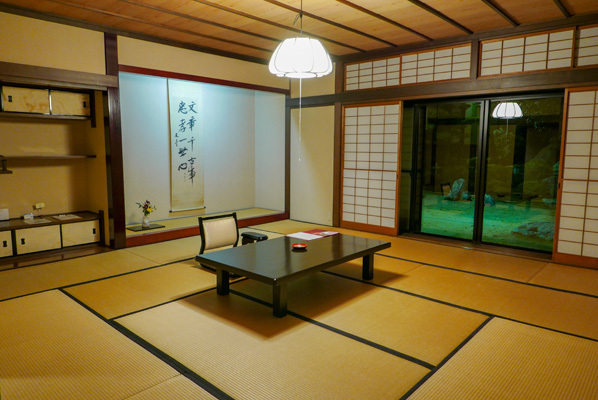 The Chofu Mori Mansion was the home of Chofu Mori, and is a spacious home with many rooms. They also had various Japanese gardens in the house that were breathtaking. We were there for a traditional clothing experience, so we were able to wear an outfit of a “court lady”. The staff were very friendly making sure the outfit was perfect. 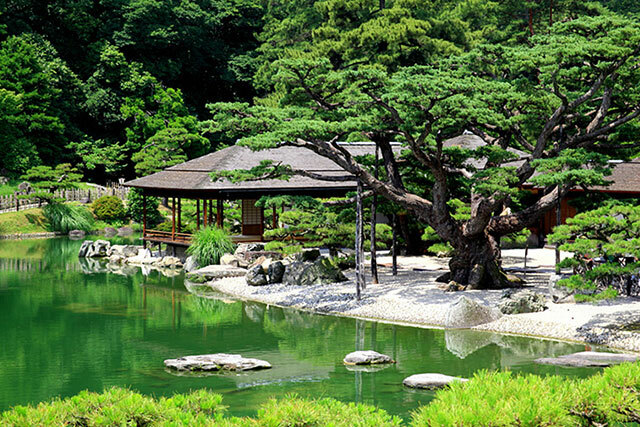 We were then able to go outside to the beautiful Japanese gardens to take photos and also enjoy the views. 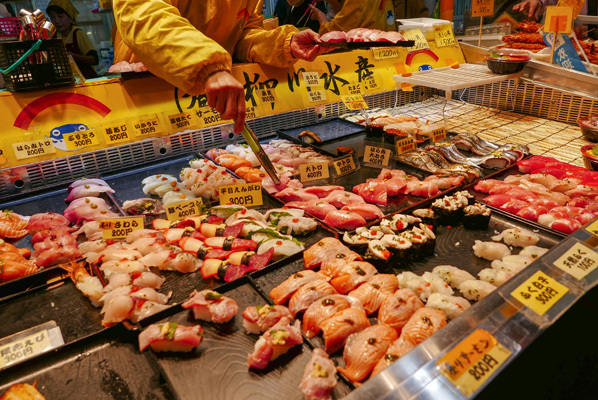 This bustling fish market is full of energy and excitement. 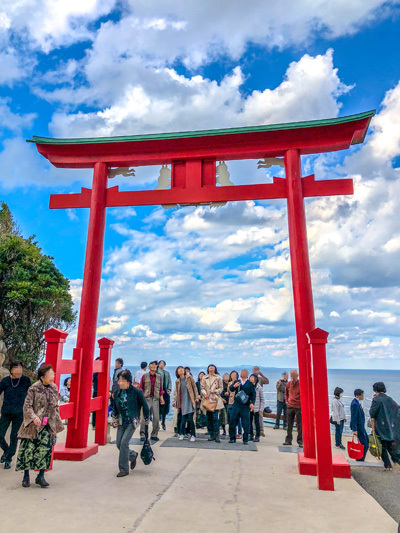 Locals and visitors crowd around the stalls here, picking out their favourite sushi before taking their plates outside to enjoy the fresh fish morsels by the sea. 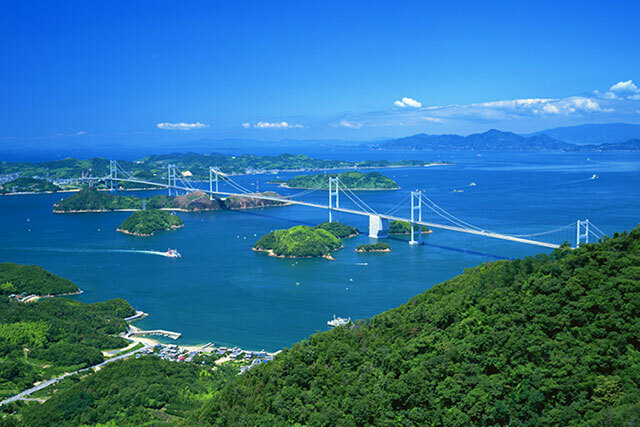 The view here is beautiful, as the fish market is located beside the Kanmon Straits, which runs between the mainland and the southern island of Kyushu. 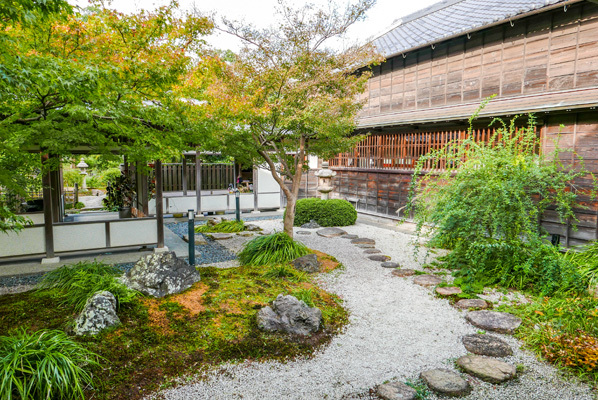 Chofu Moritei has a history that stretches back for centuries, and the traditional residence and garden are all beautifully preserved and well-maintained. 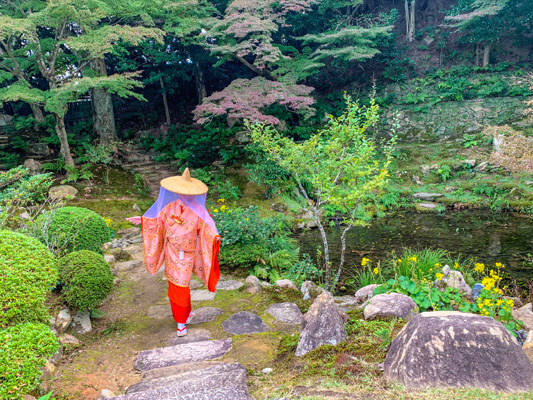 When you arrive there, they dress you in traditional kimono (October and November only), swiftly swaddling layers of garments to recreate the formal attire worn by elite members of society in the Heian Period (794-1185). 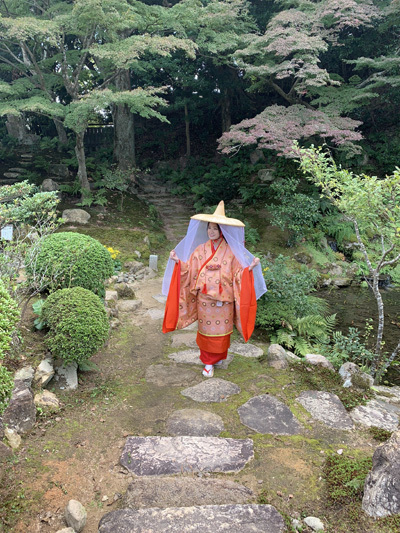 It was a great experience to admire the beautiful traditional surroundings whilst dressed in the traditional garments. 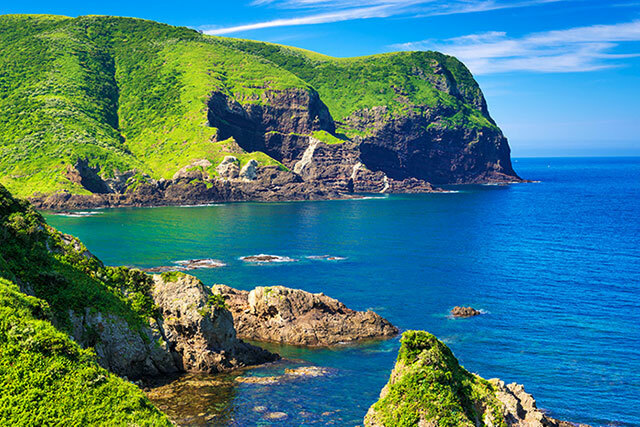 All the spots we went to were enjoyable and very unique, things you cant see or do outside of Yamaguchi. The food that was served on this trip was excellent as well as the hotels we stayed in. 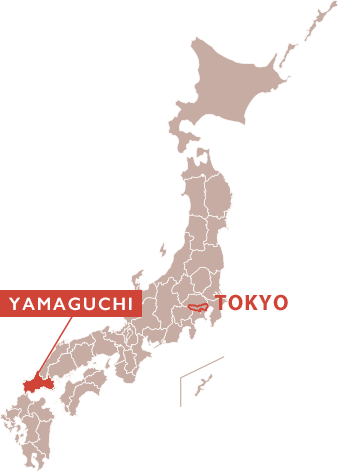 It was great to see the busy Tokyo life then see a contrast to that and visit the peaceful Yamaguchi. I would definitely recommend this trip to other travellers. 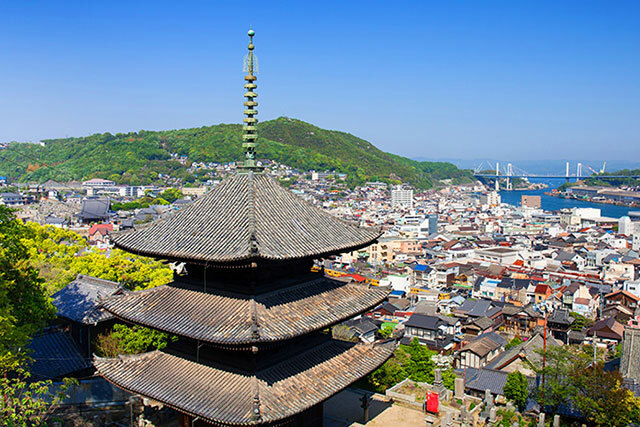 Sightseeing around Tokyo is always fun, but a side-trip to Yamaguchi will open your eyes to an even more remarkable side of Japan. Wind down with a more relaxed pace, incredible sites, and encounters with generous, friendly locals for a trip filled with memories that will last a lifetime. 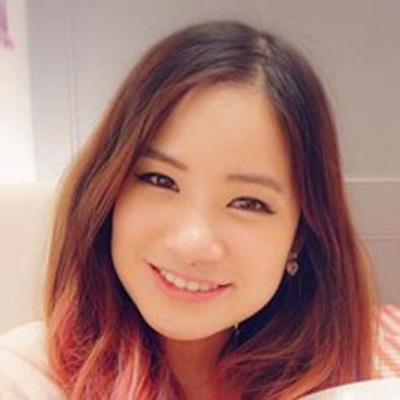 When I come to Japan, I like to go shopping, explore the city and observe new fashion trends. I also love seeing the lesser-known towns and cities of a country, especially places where tourists are not yet familiar with. 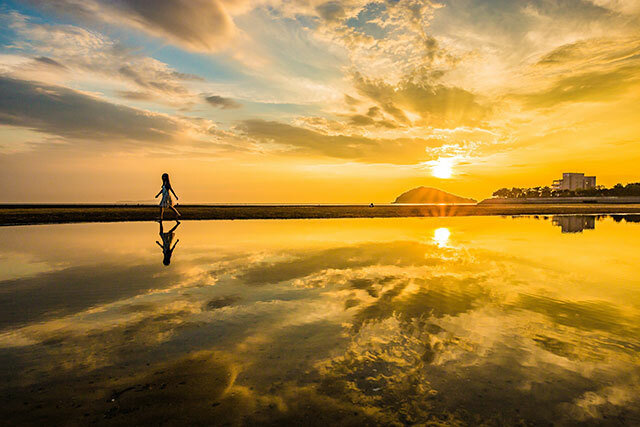 The city of Yamaguchi has a certain charm where you can experience the real Japan, and Yamaguchi can deliver an authentic Japan to the everyday traveller. 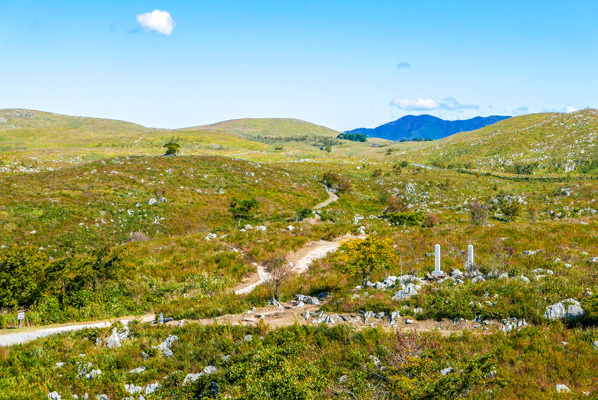 This tour includes a number of historic sites and stunning panoramic vistas, making it perfect for nature lovers, history buffs and photographers.